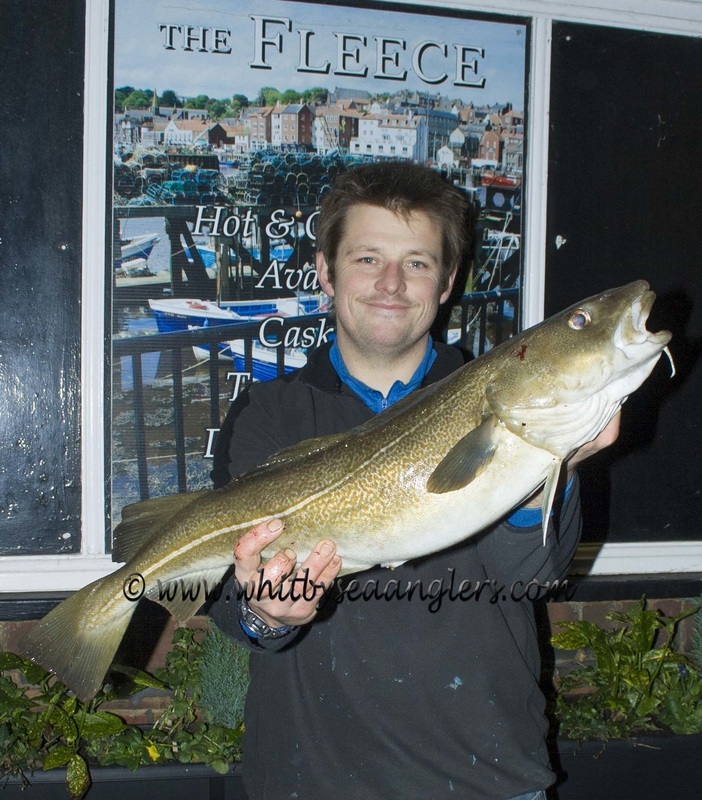 Heaviest Fish & Heaviest Bag of Fish sweeps £2/£2* ie £2 per month - payment is strictly in advance. 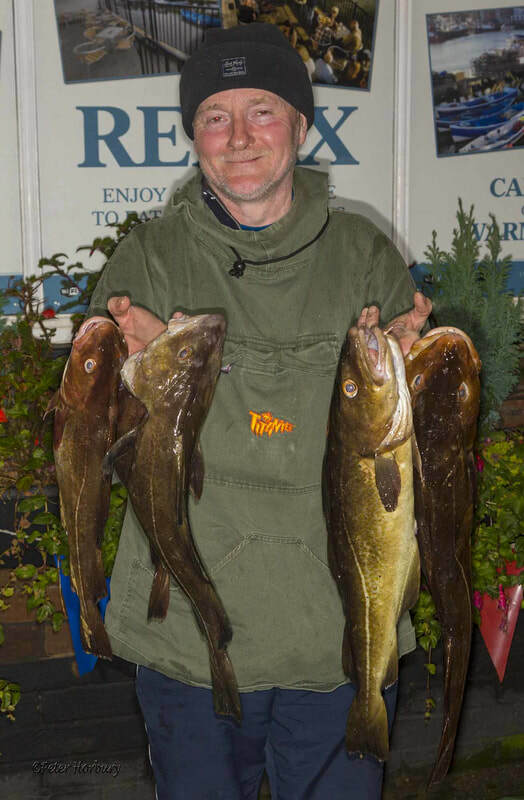 ​Starts in October of every season. 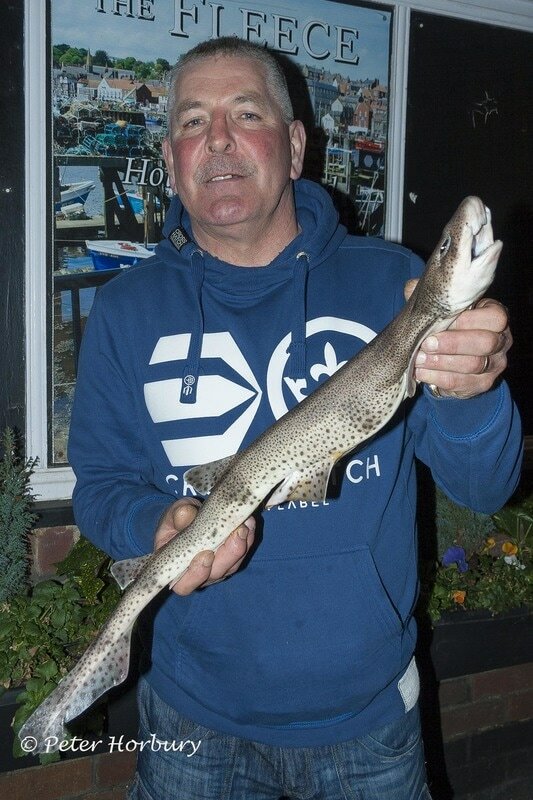 Privately organised by Rob Allison outside official WSAA business. 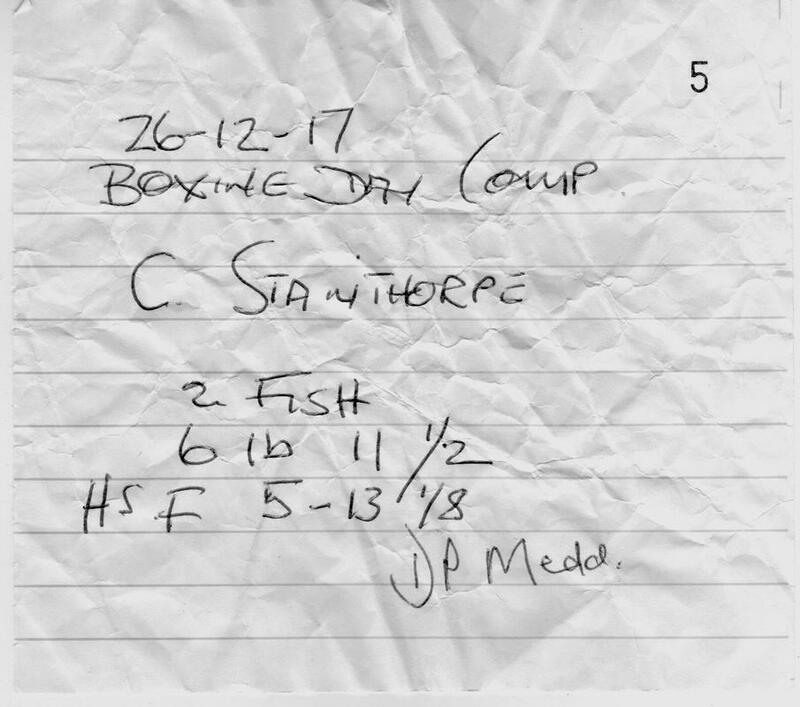 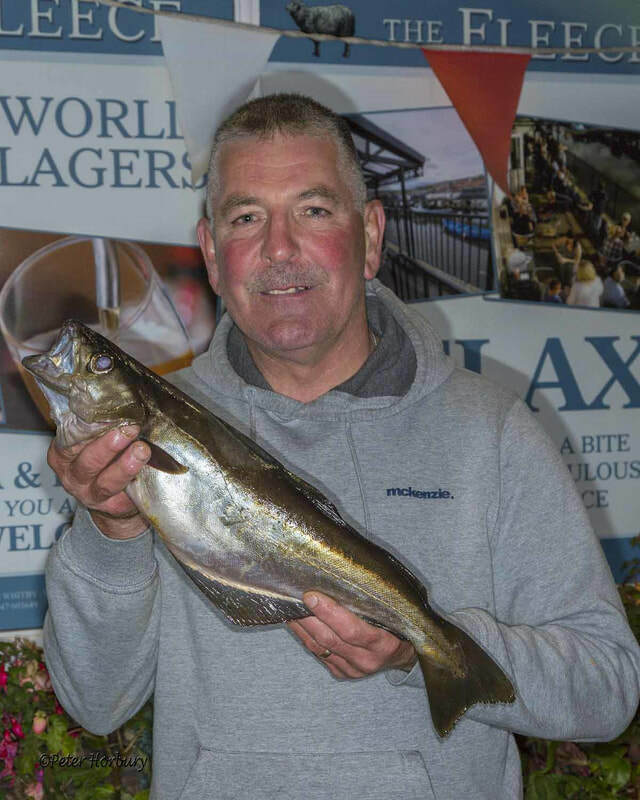 * by default as Allan Beale wasn't entered - 5 lb 15 oz - Wed 2nd Jan.
** also by default as Andrew Cass wasn't entered 5 lb 00 oz - Sun 24th Feb 2019 - Secretary's Challenge Trophy. 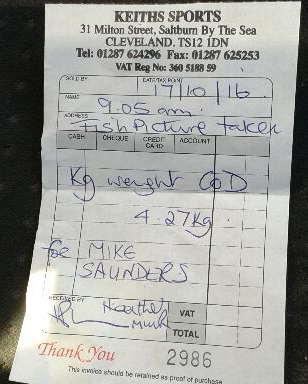 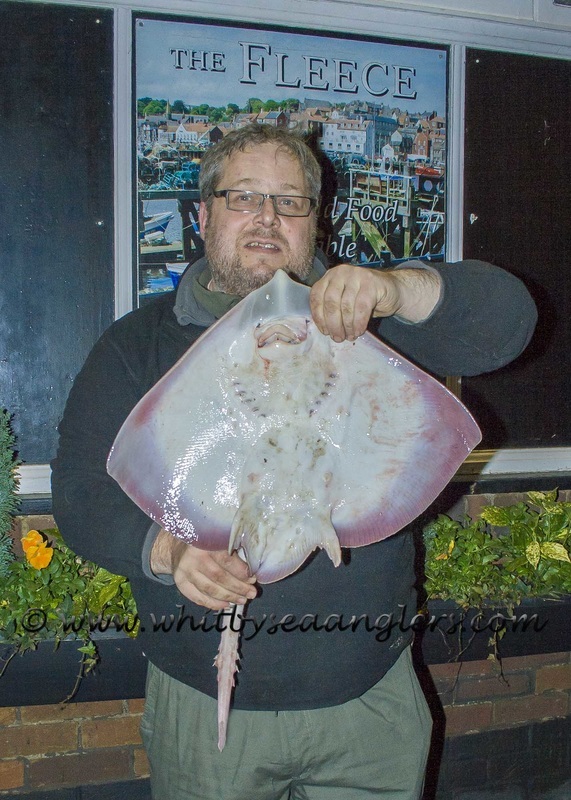 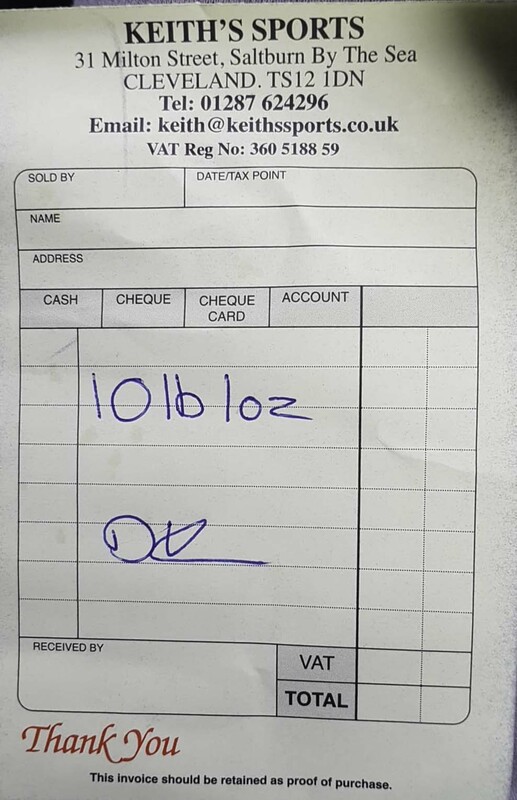 'Thank you' to Dan Redling at Keith's Sports, Saltburn, for confirming weight. 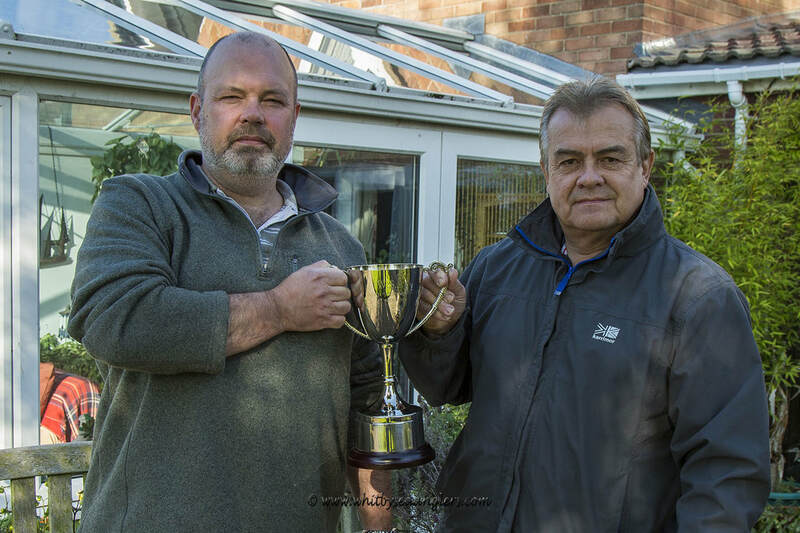 ​As announced at the AGM 2nd September 2015 by George Middlemas. 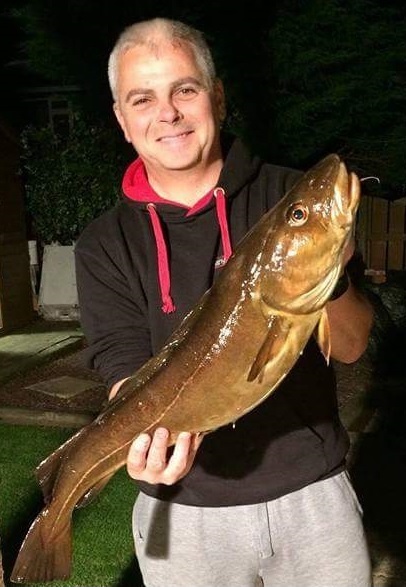 Danny Middlemas was/is considering buying a new rod. 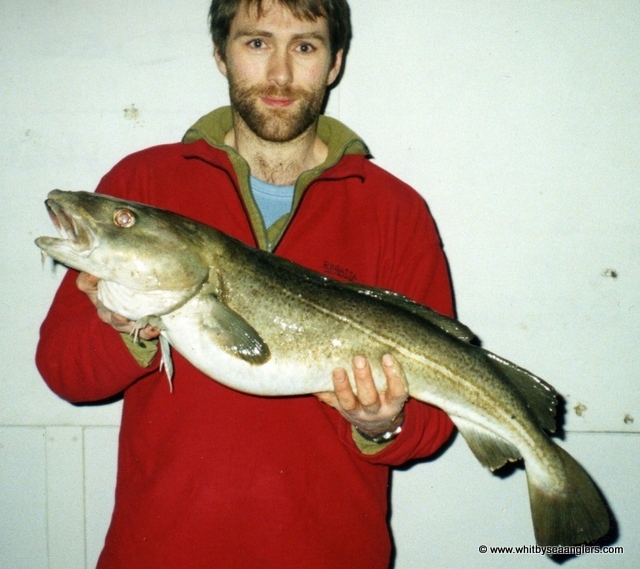 In order to help him make his mind up, Brian Harland offered to let Danny test the same rod from his collection. 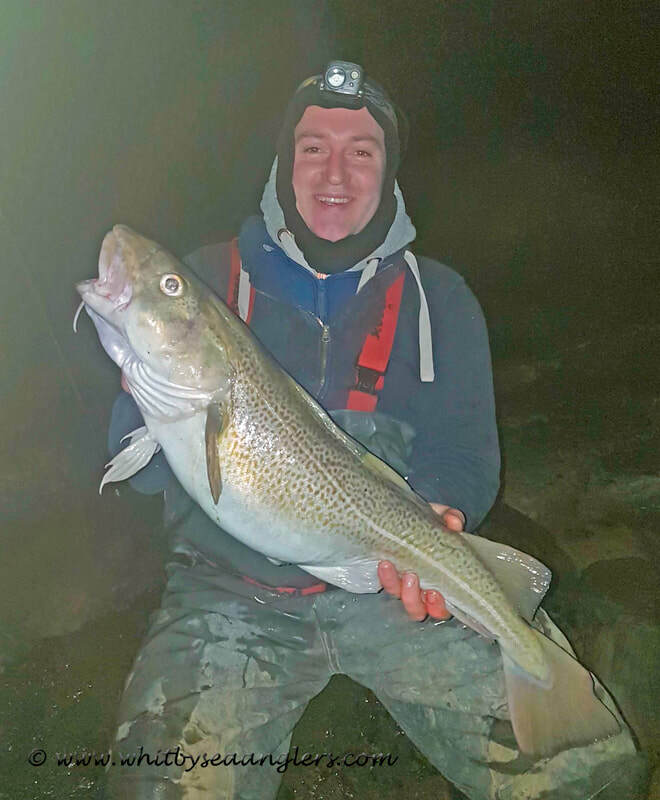 So last night (Friday 26th Jan 2018), Brian & Danny popped out for an hour or so's fishing. 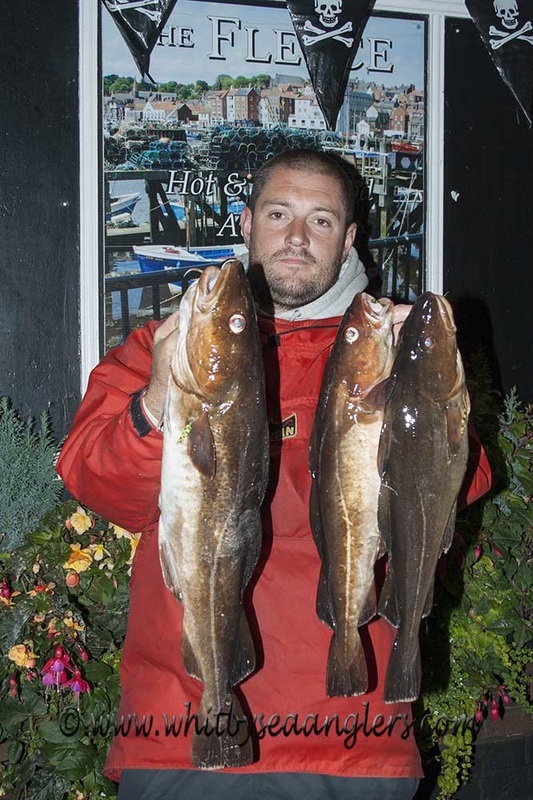 ​Conditions were not exactly exciting, little to no swell, but it would give Danny a feel for the rod. 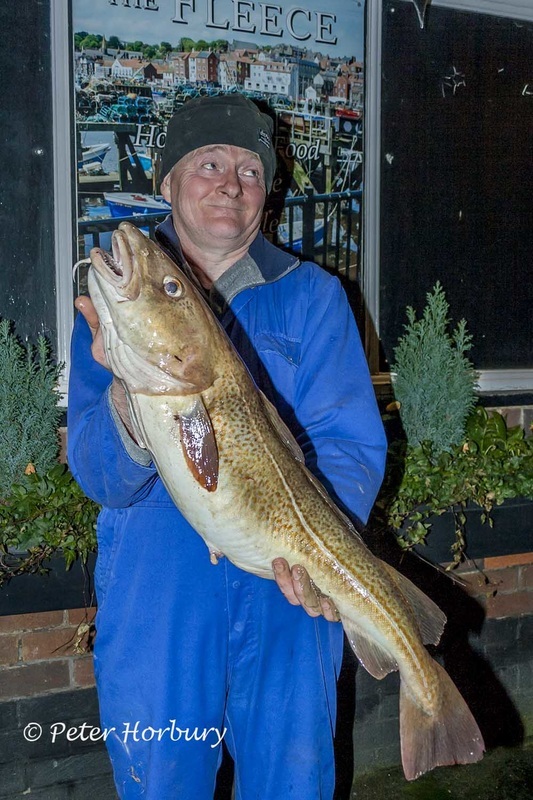 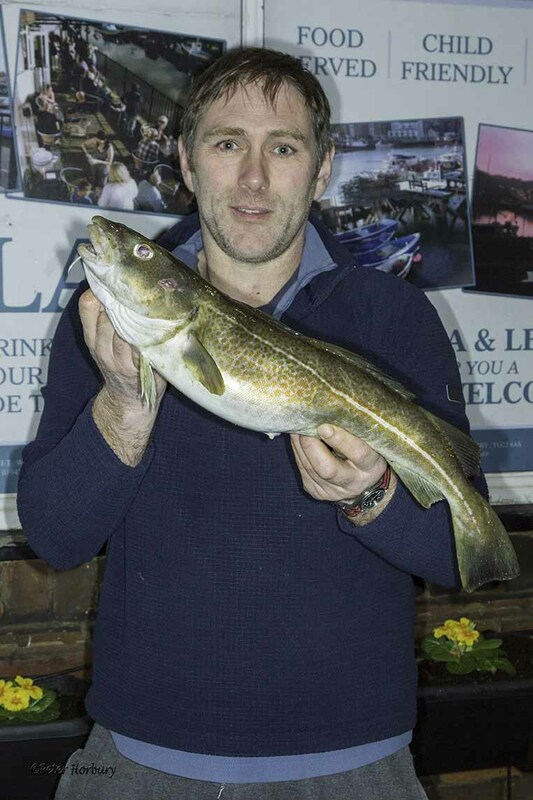 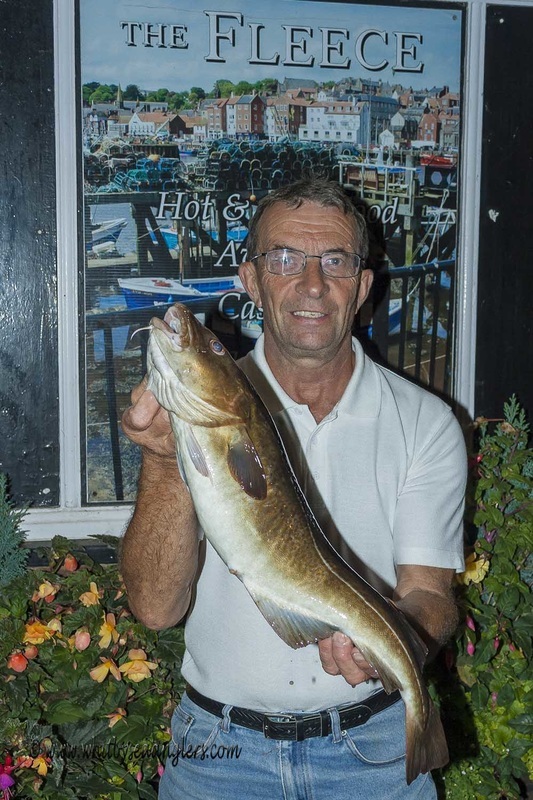 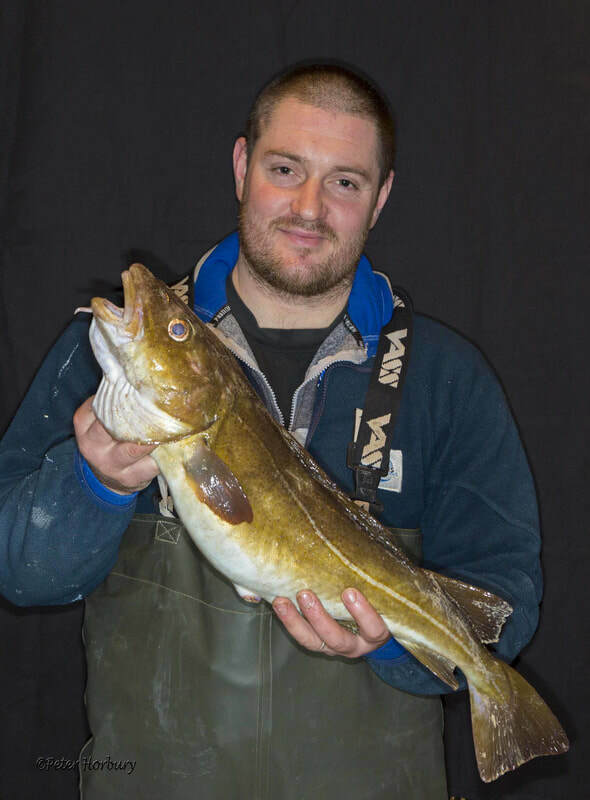 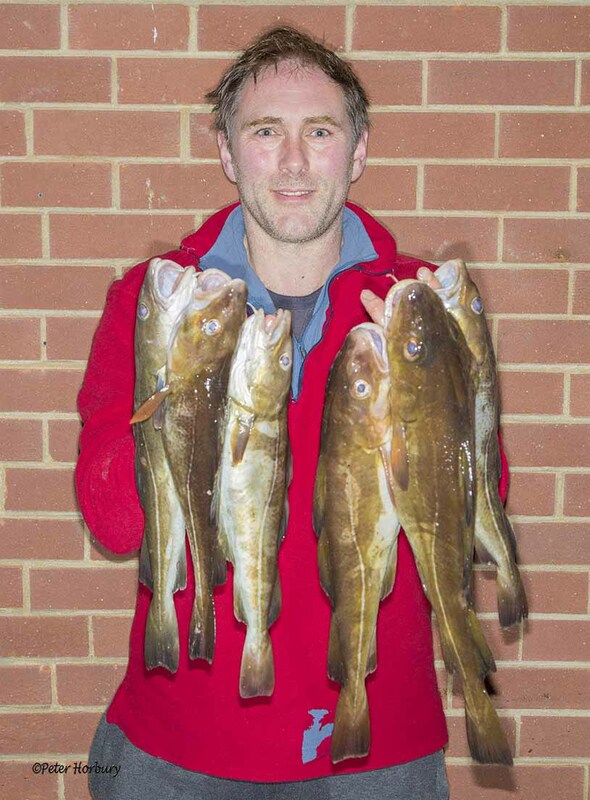 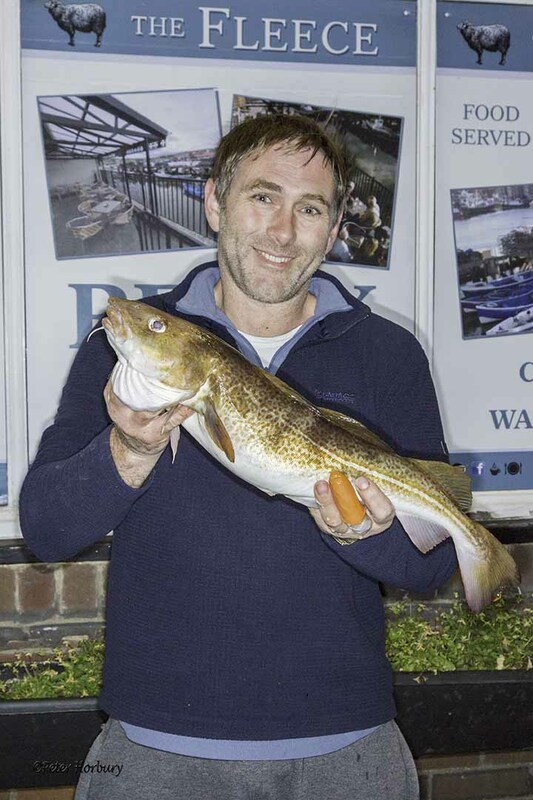 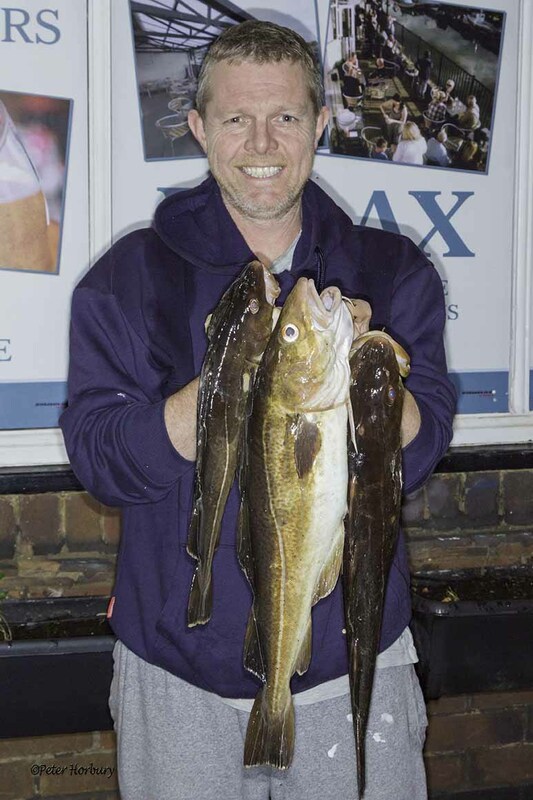 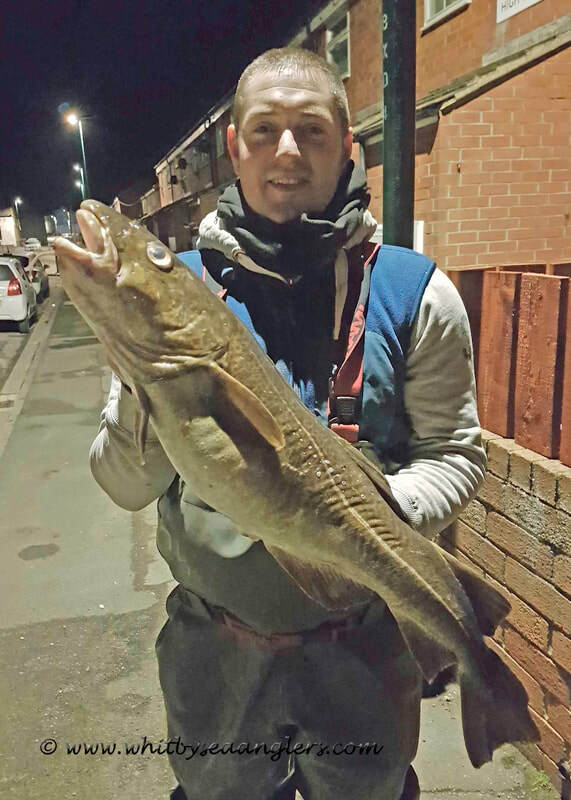 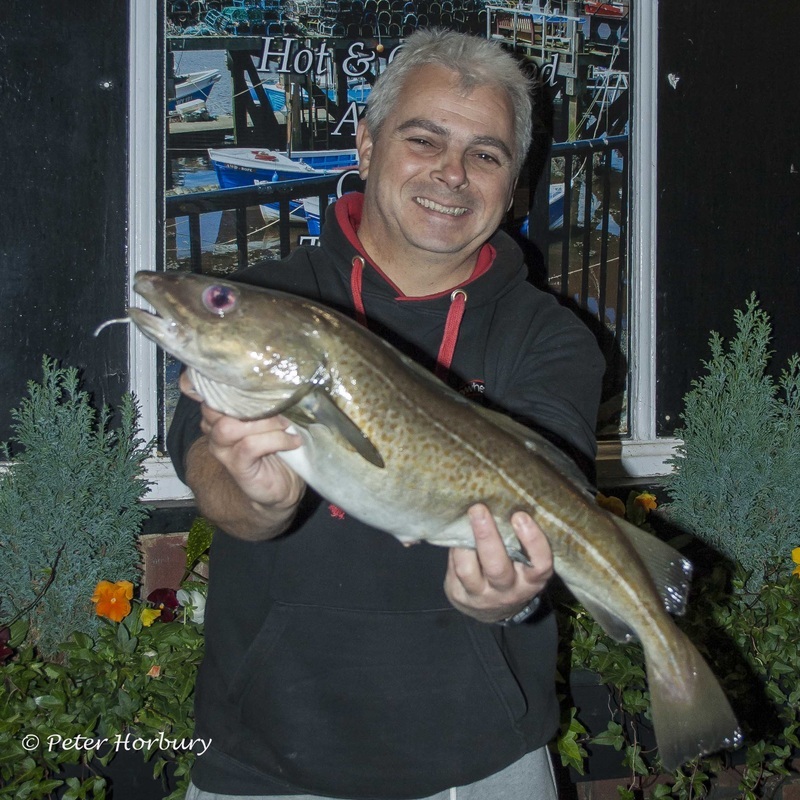 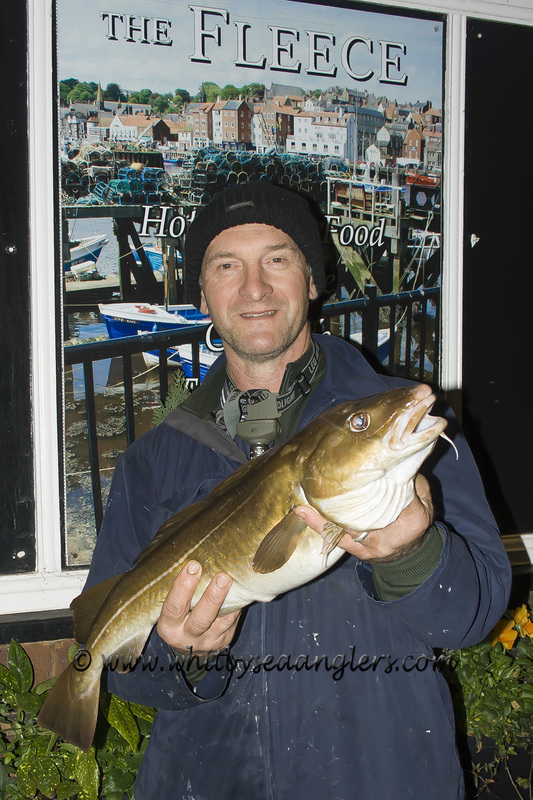 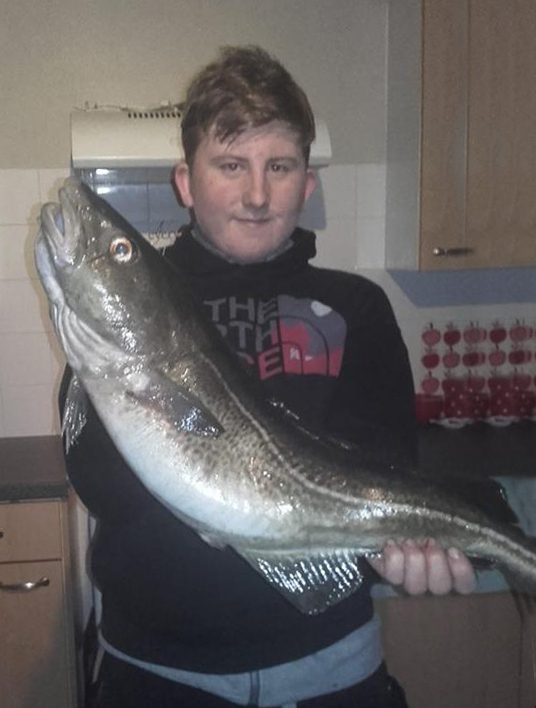 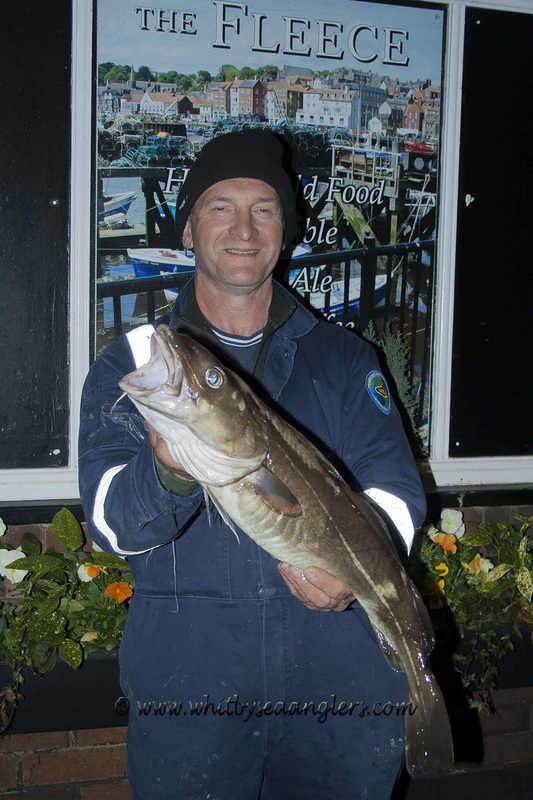 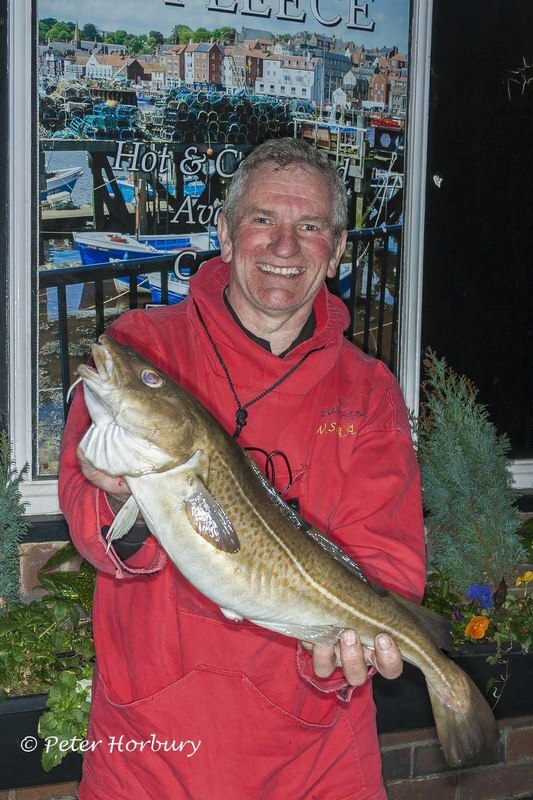 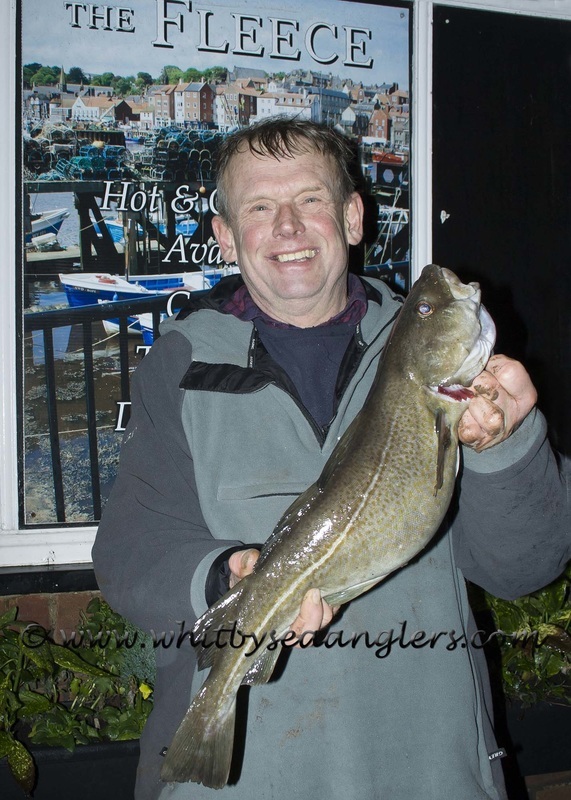 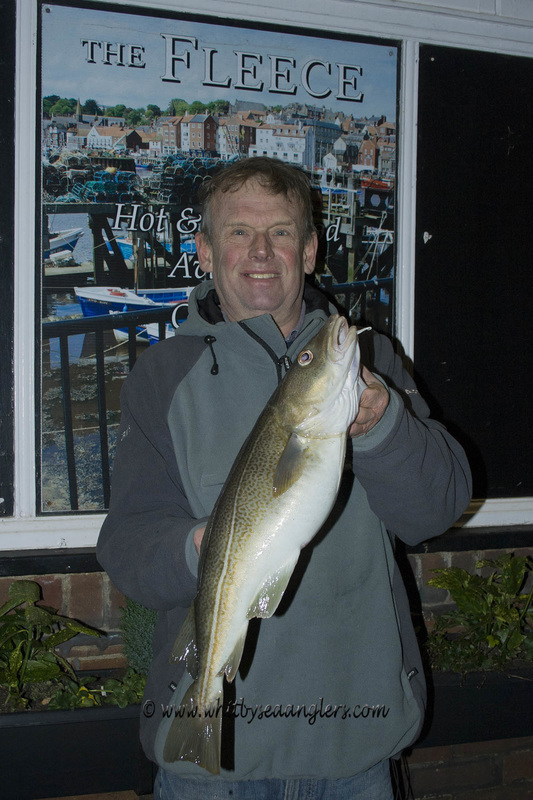 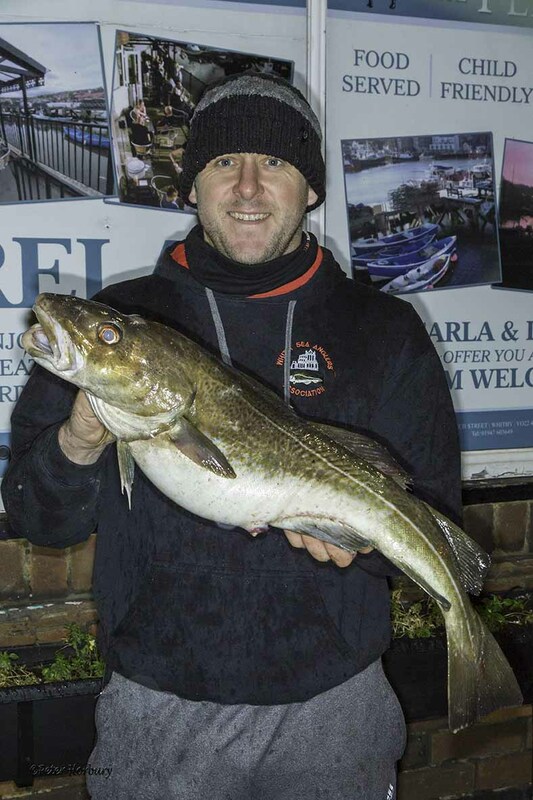 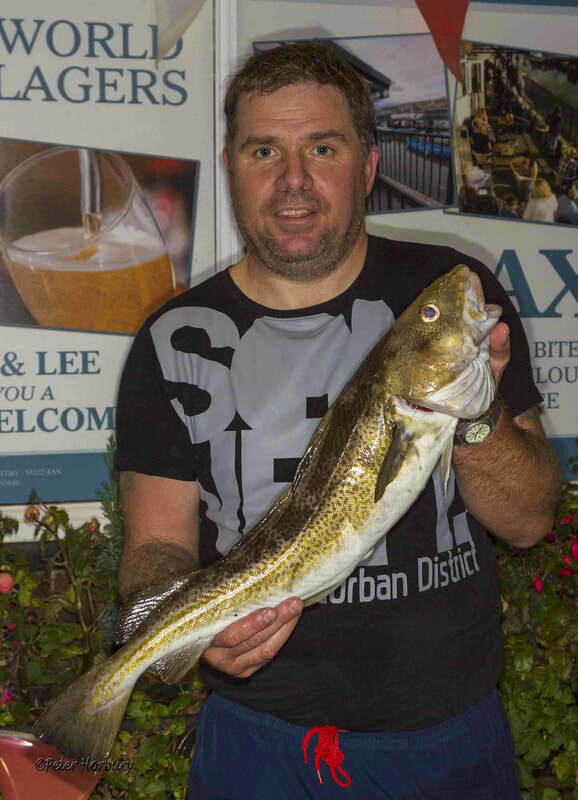 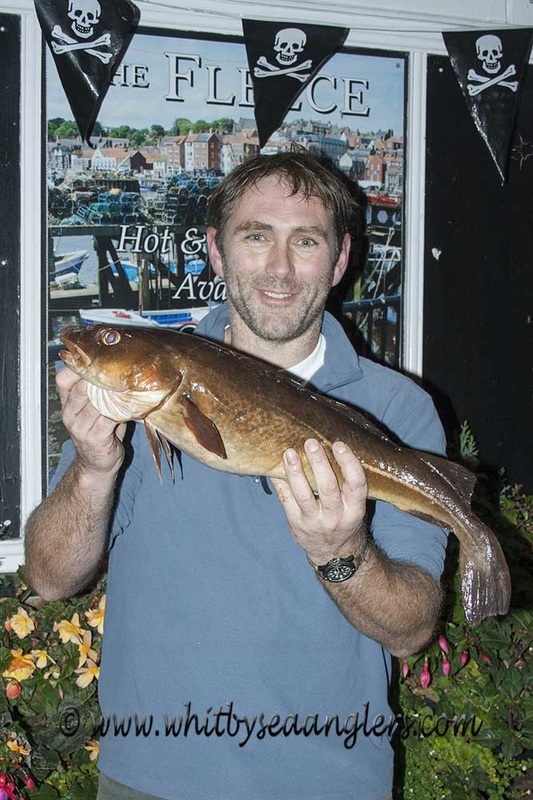 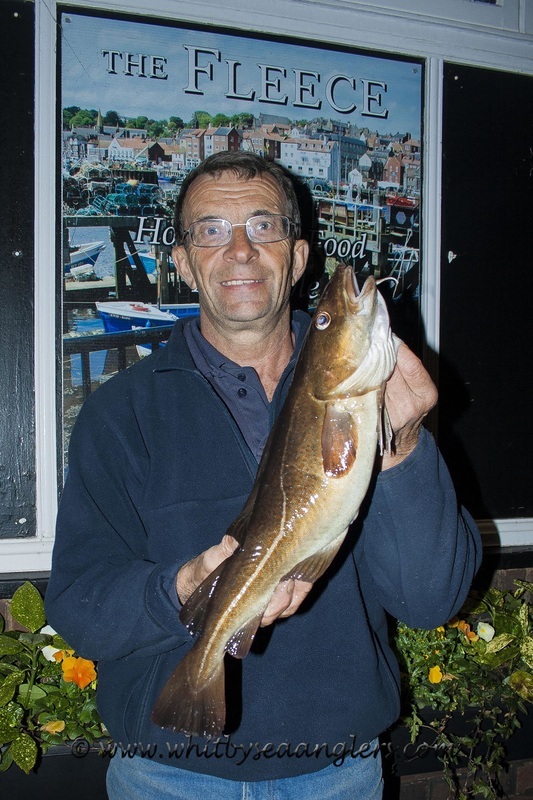 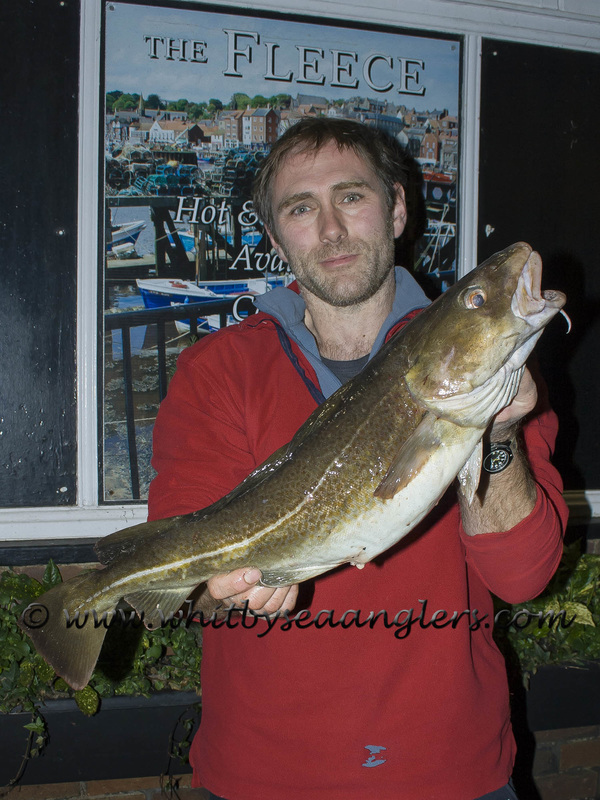 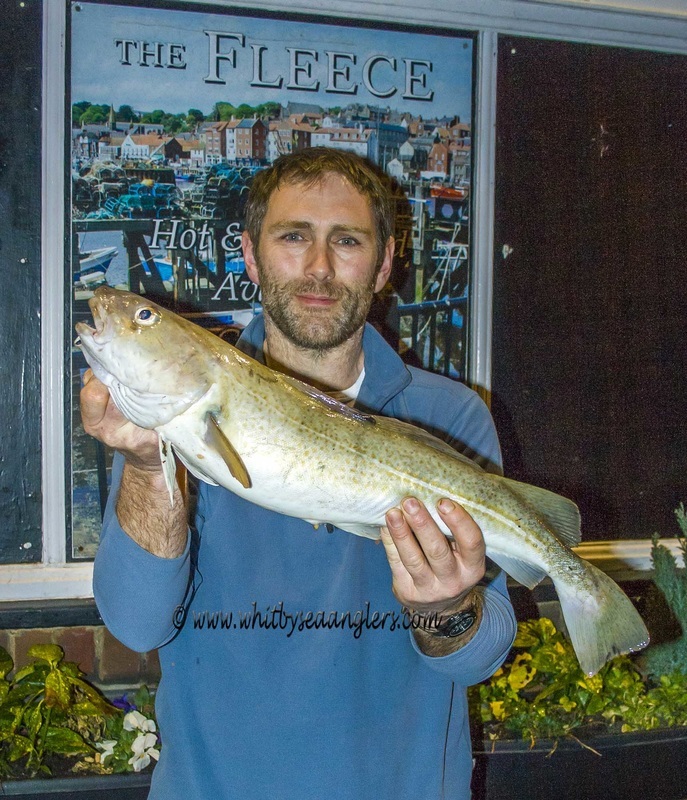 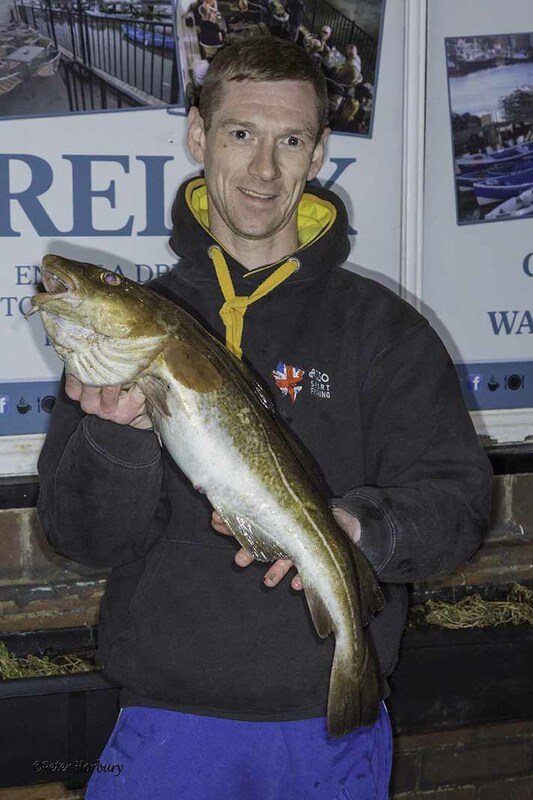 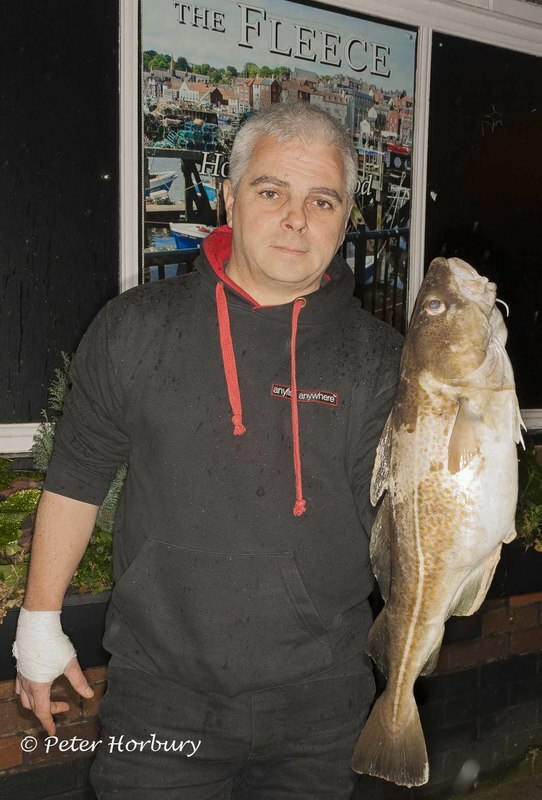 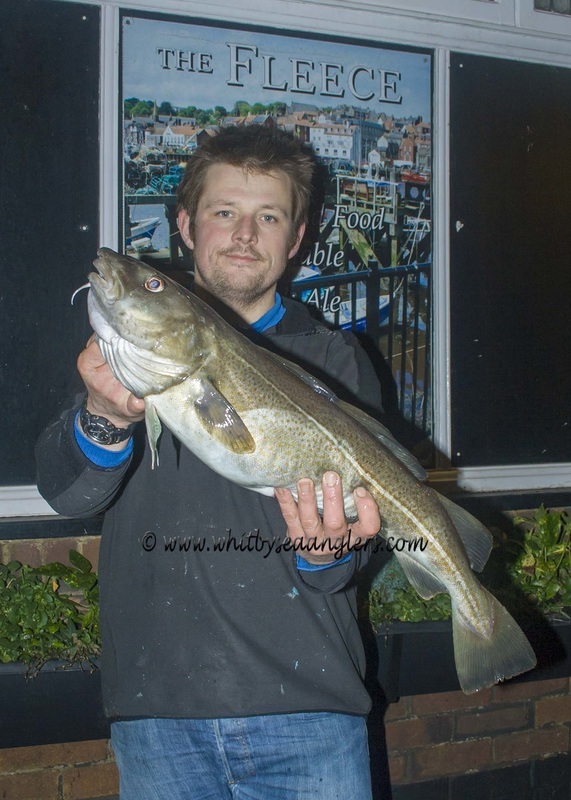 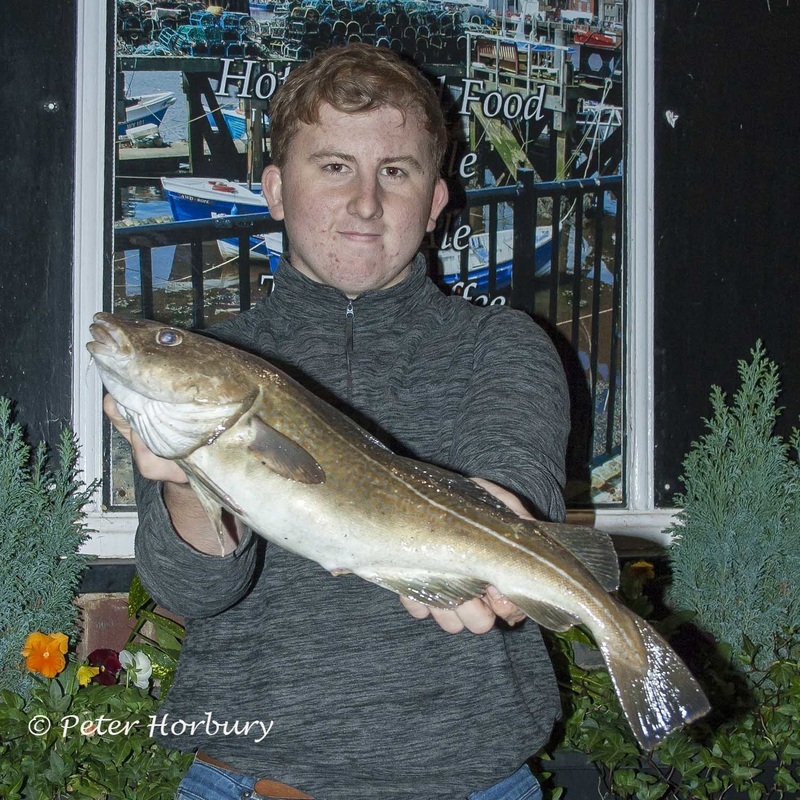 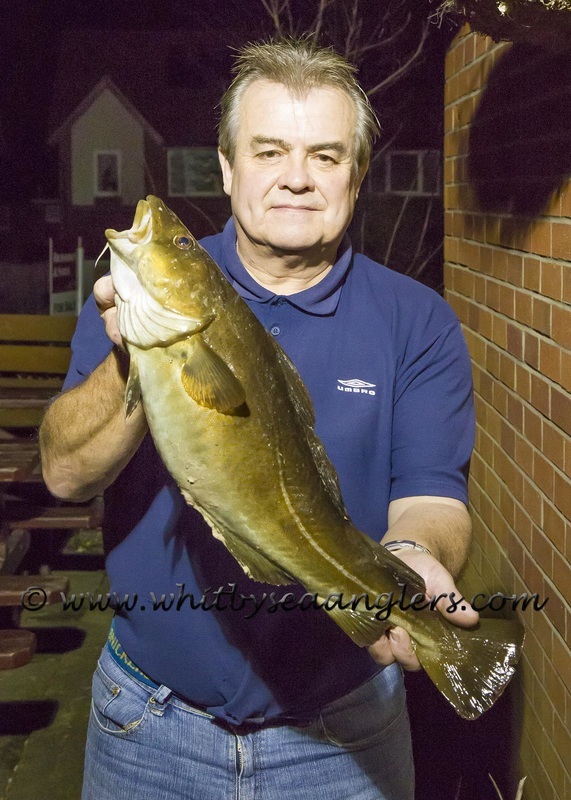 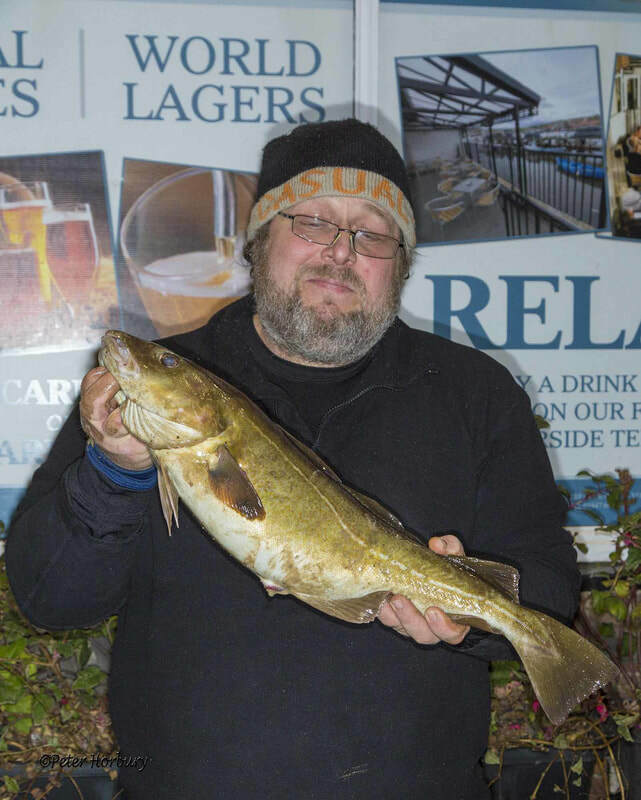 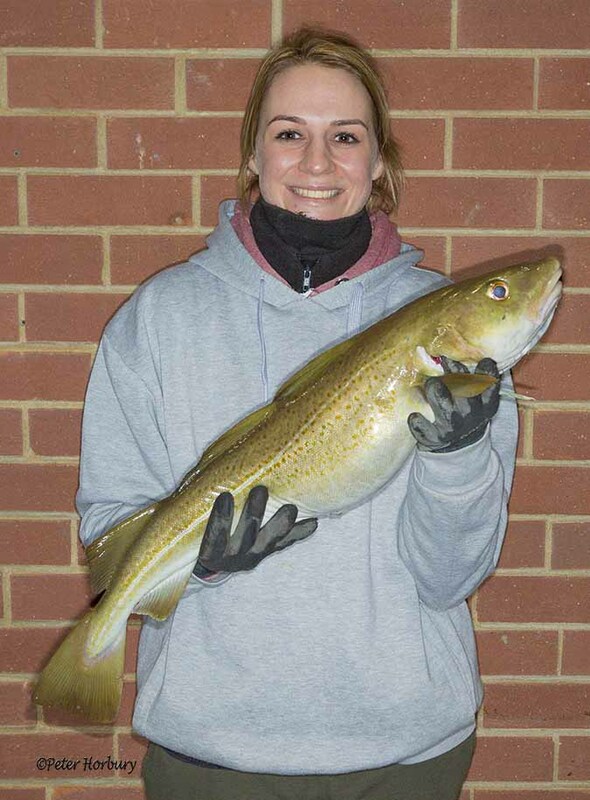 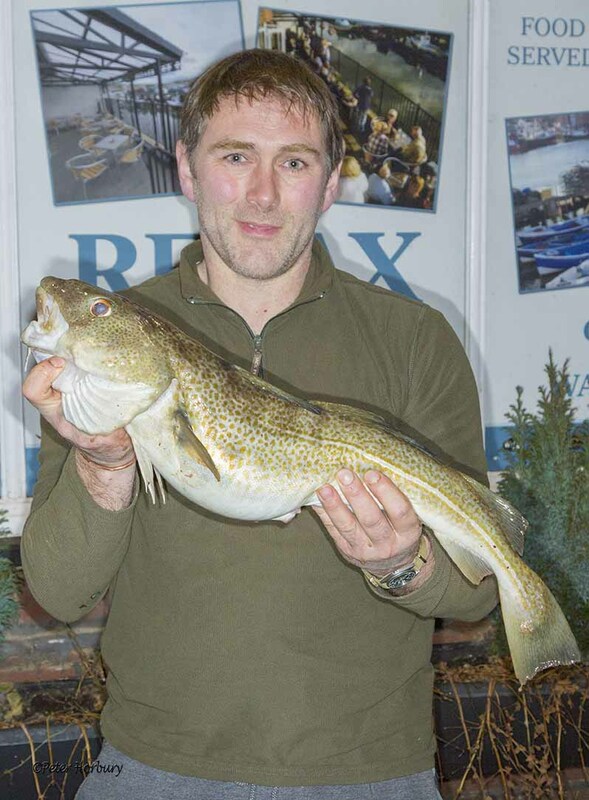 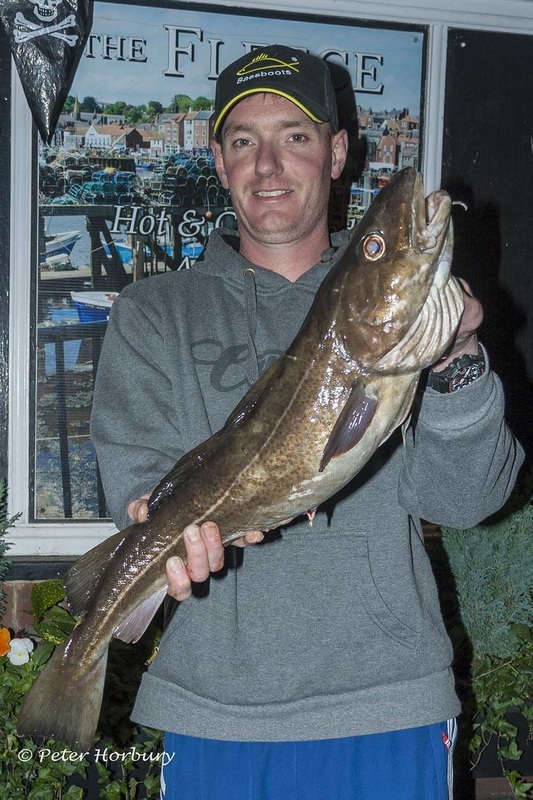 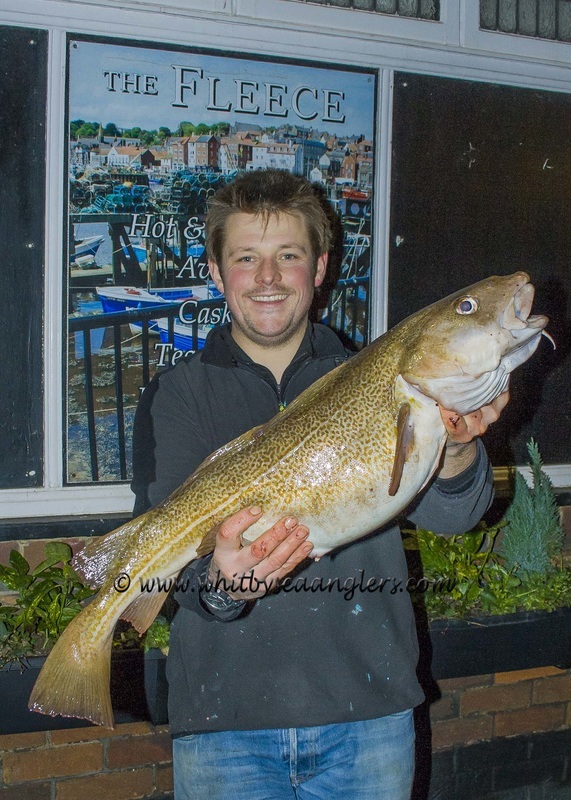 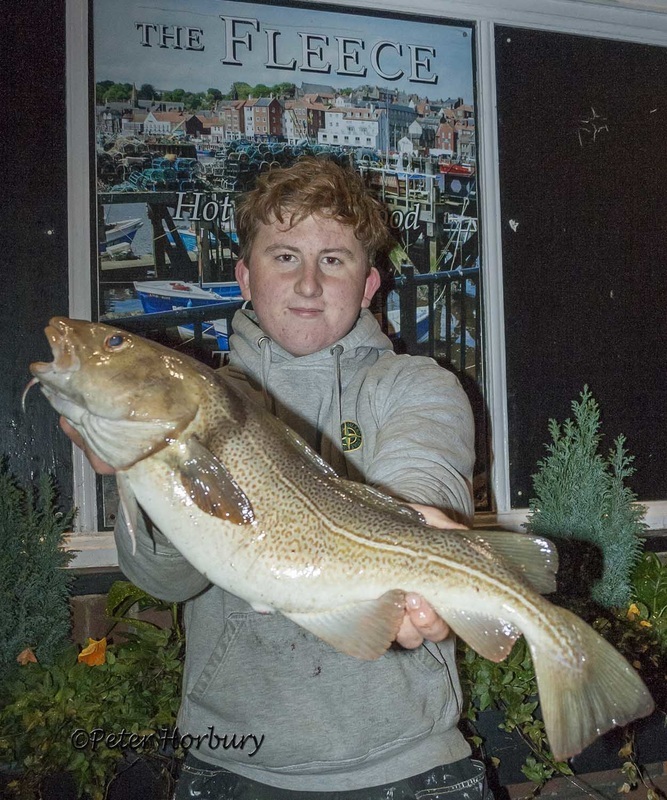 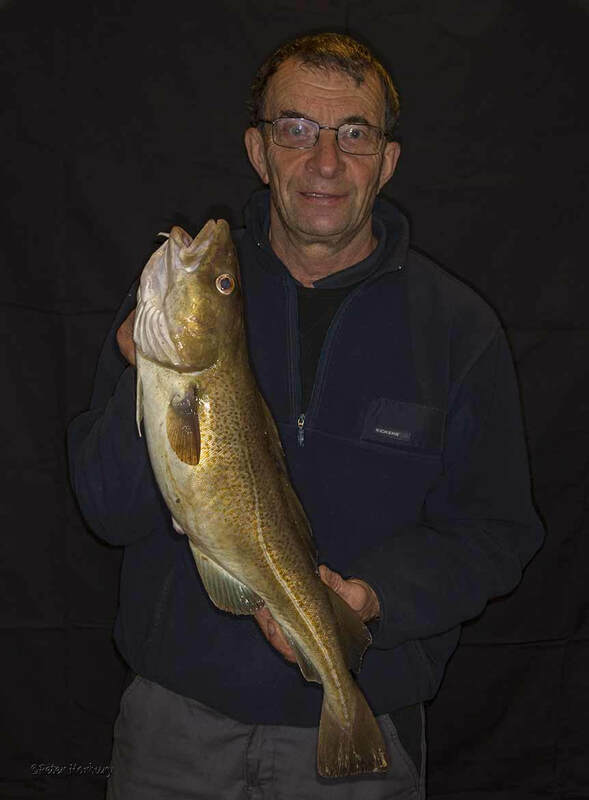 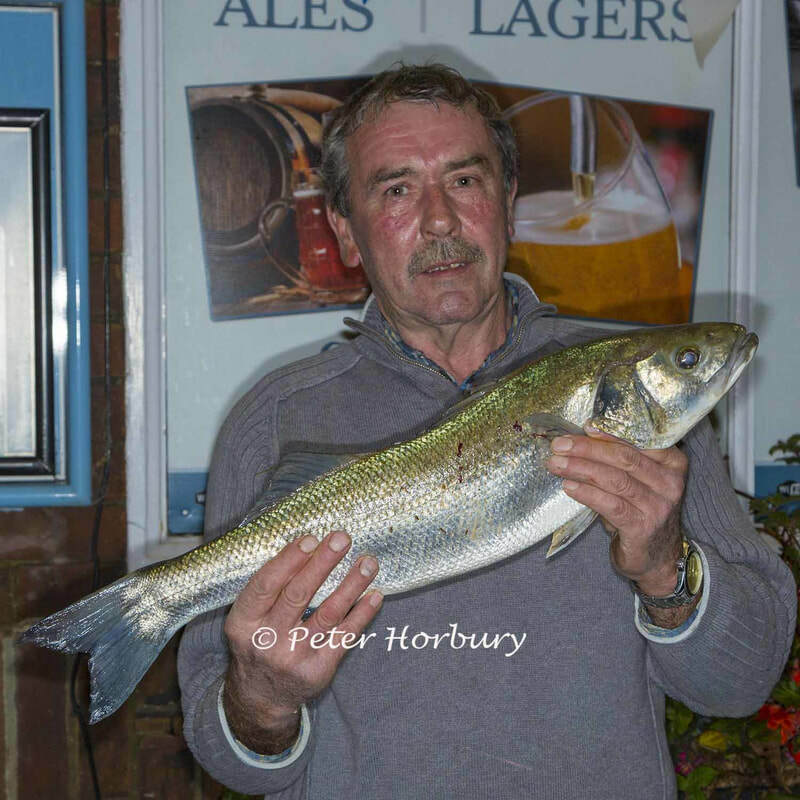 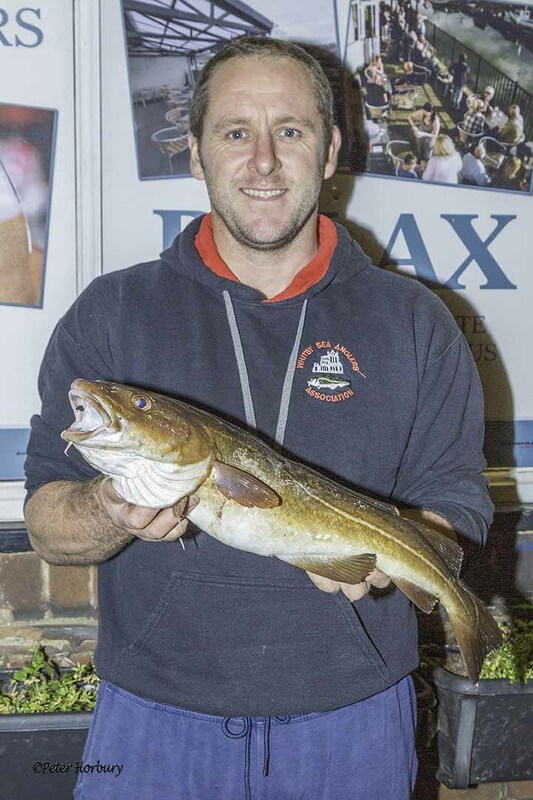 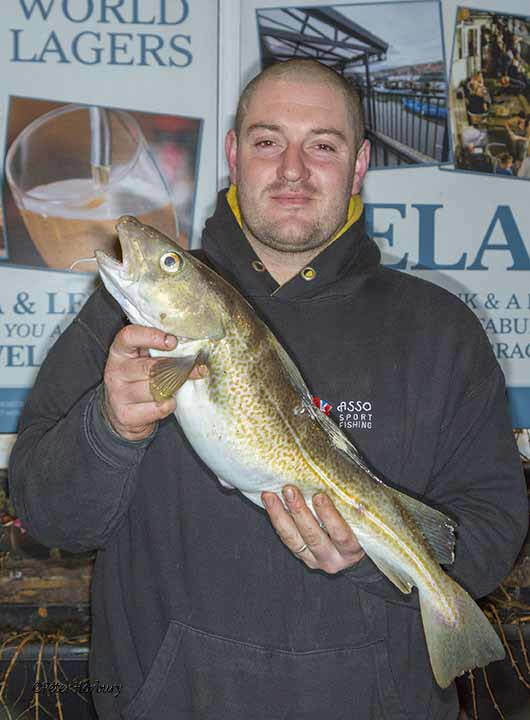 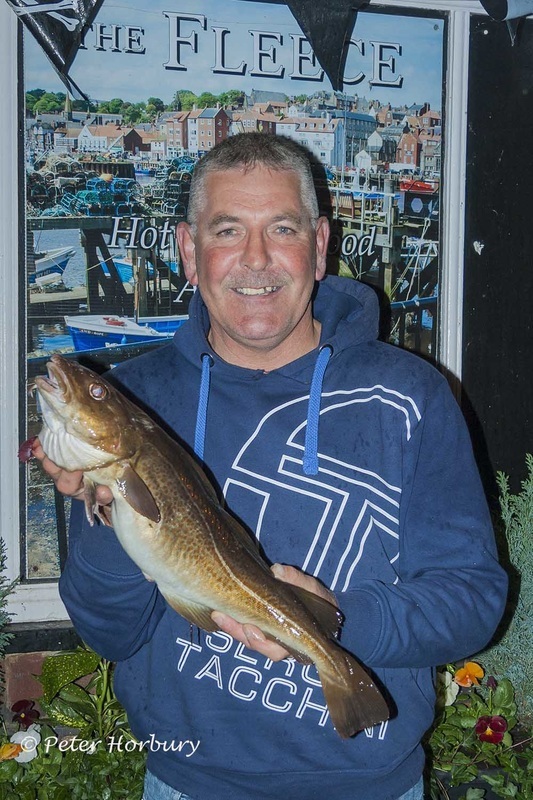 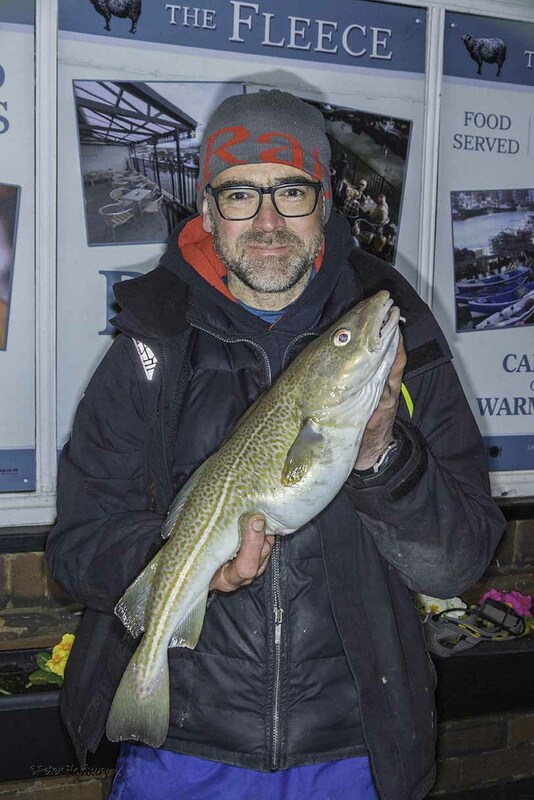 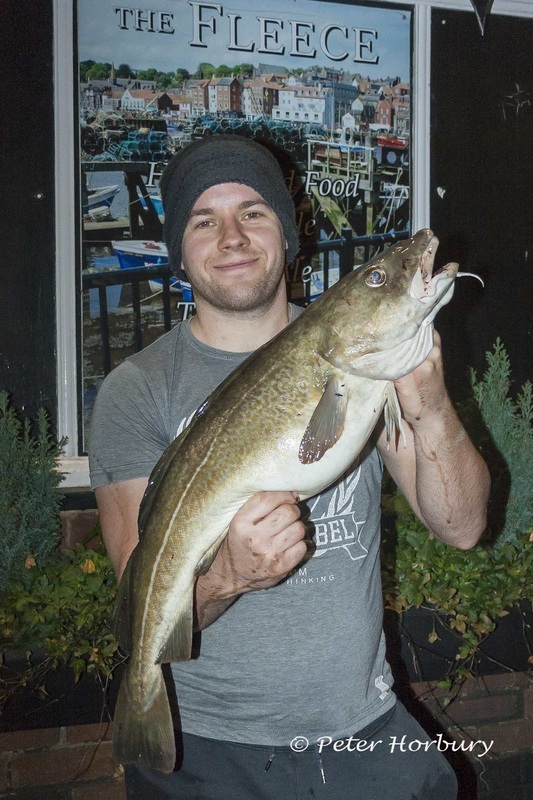 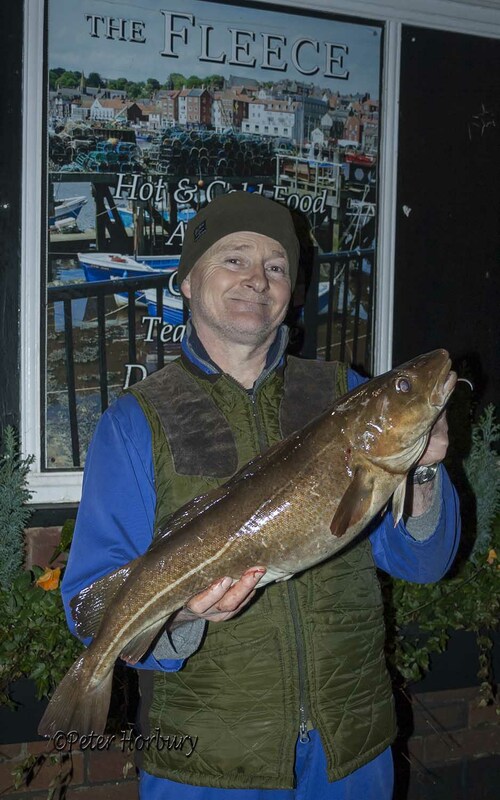 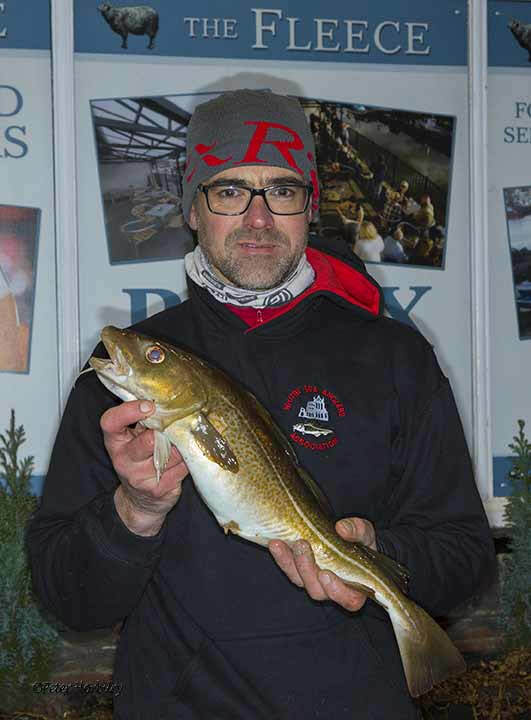 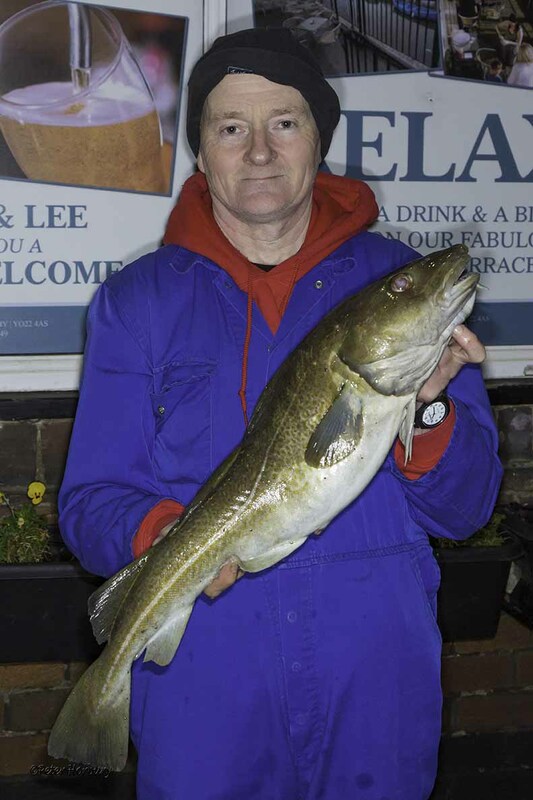 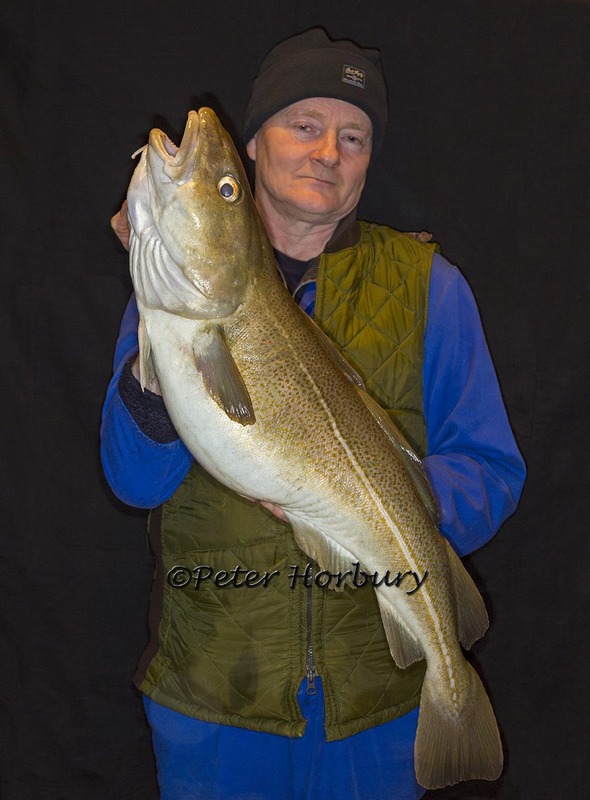 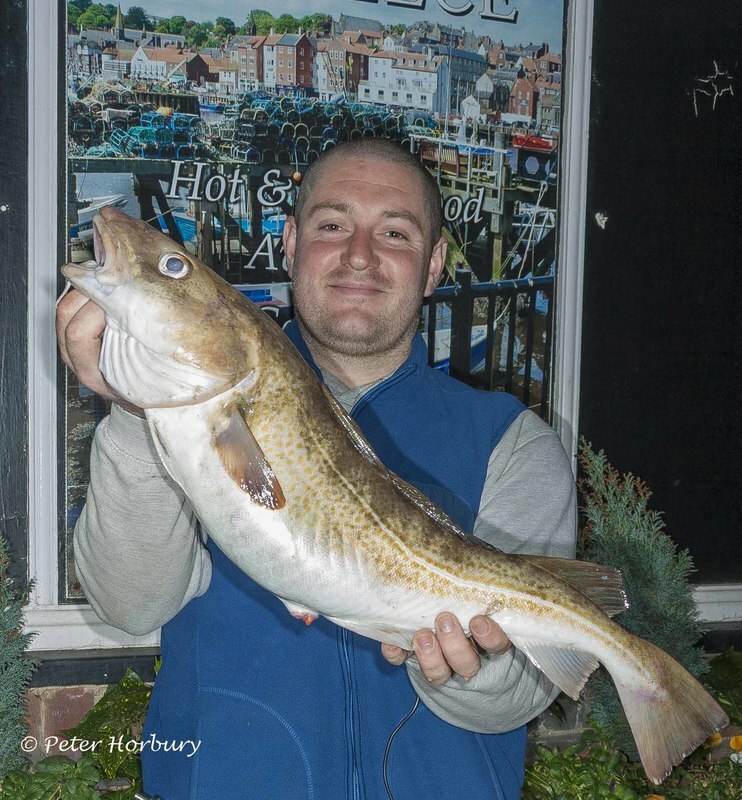 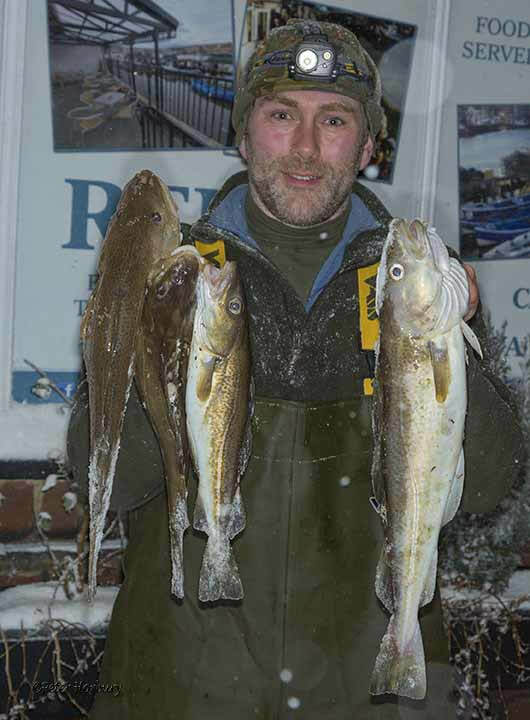 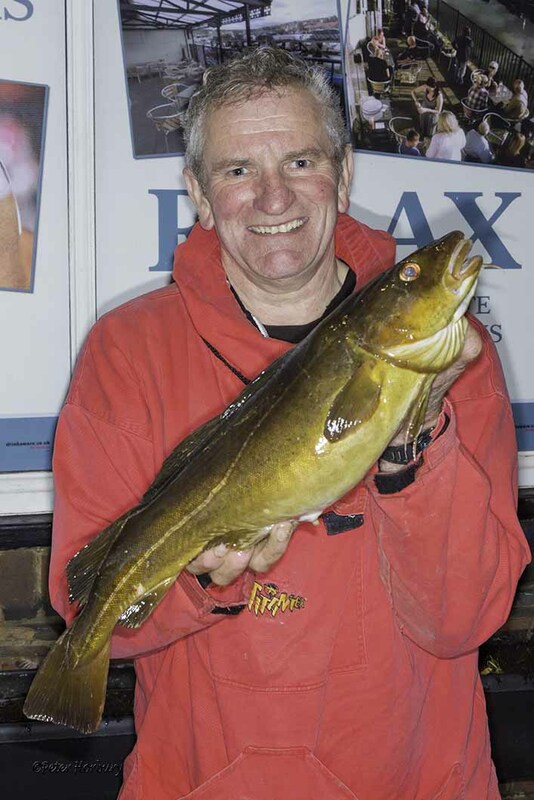 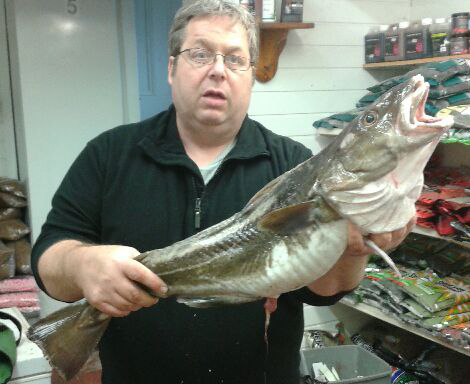 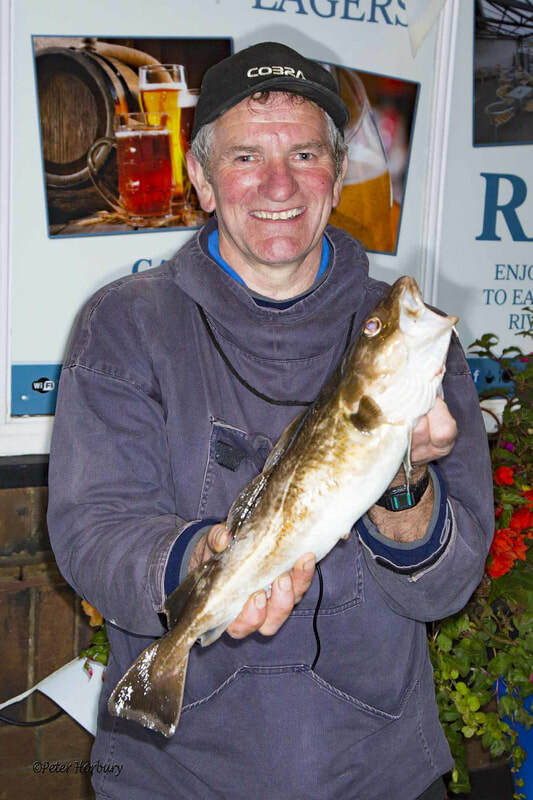 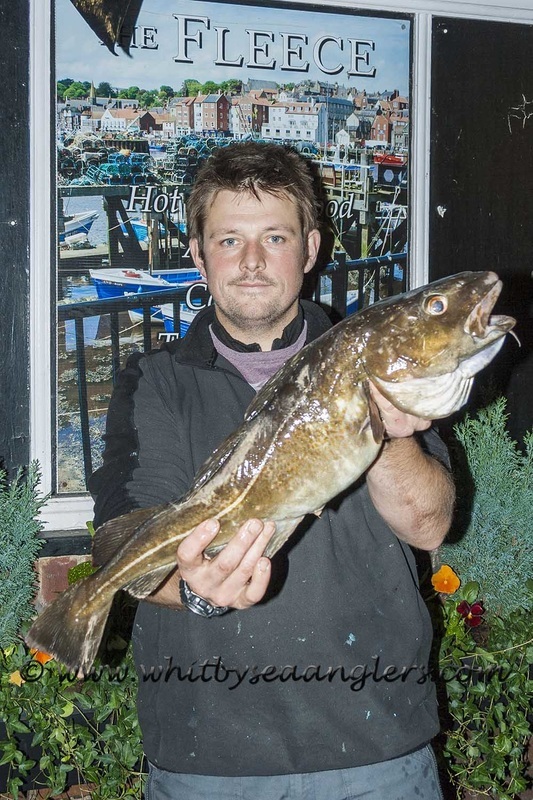 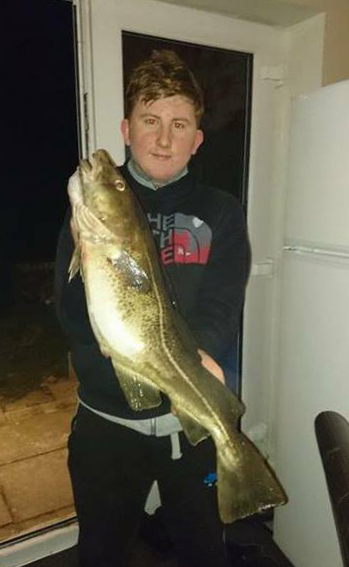 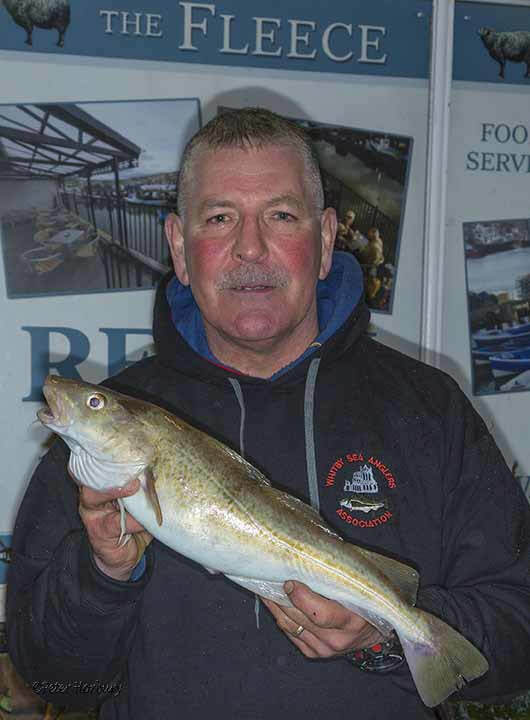 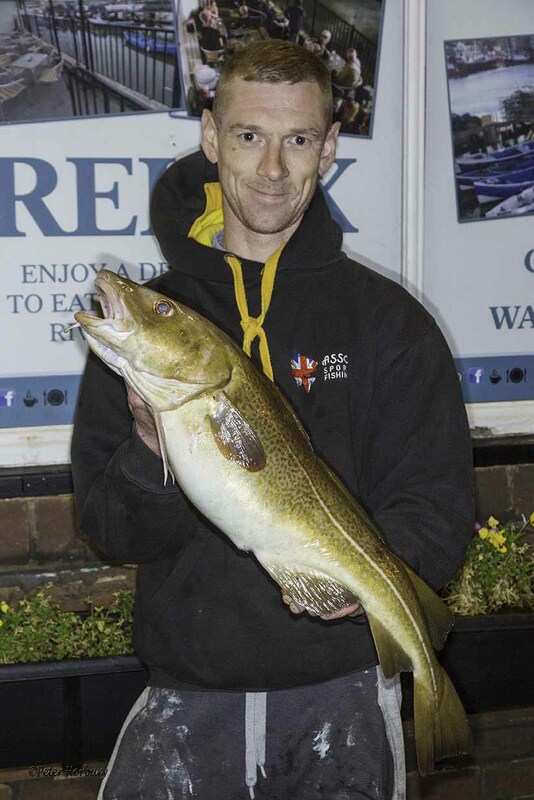 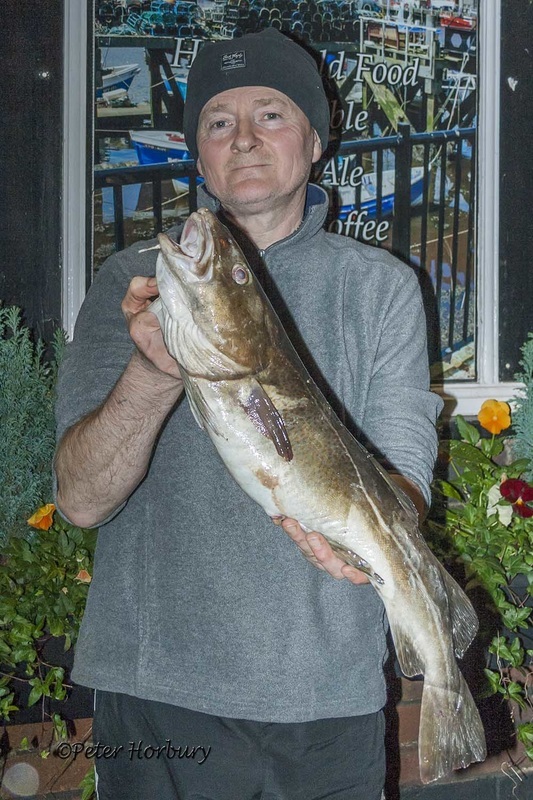 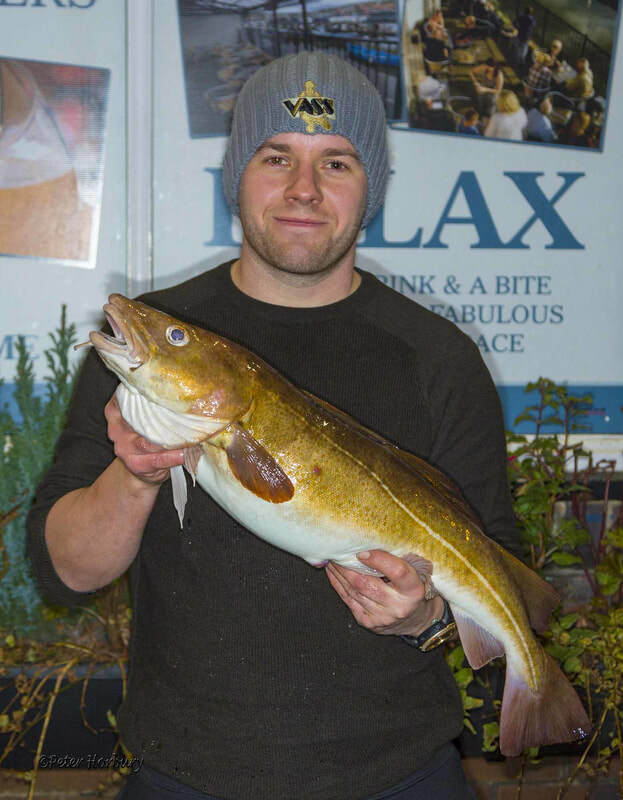 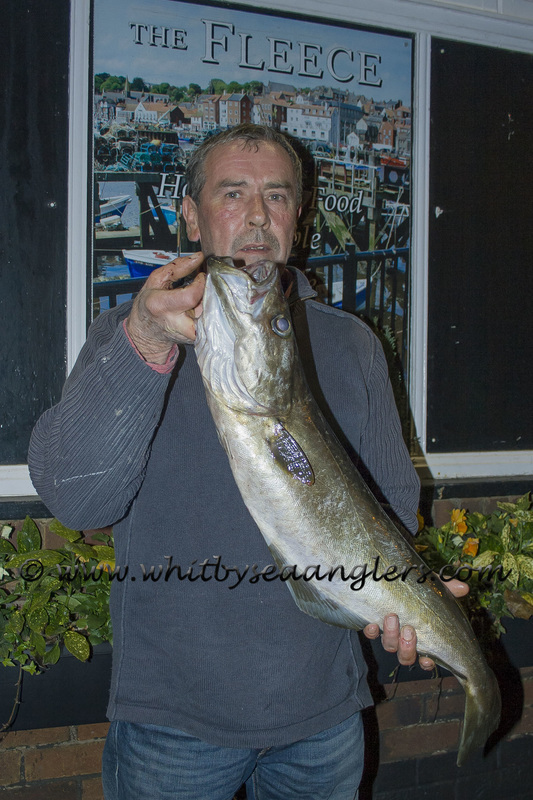 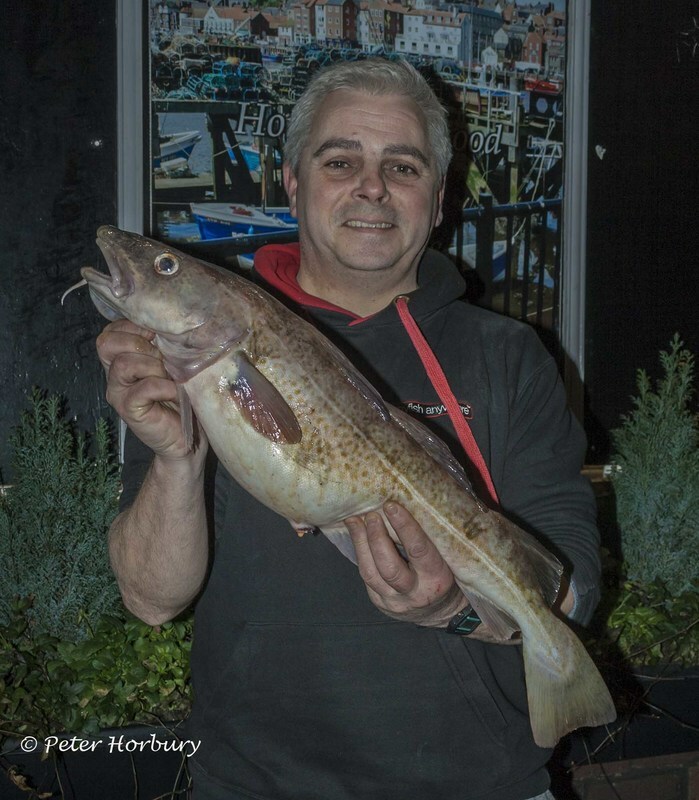 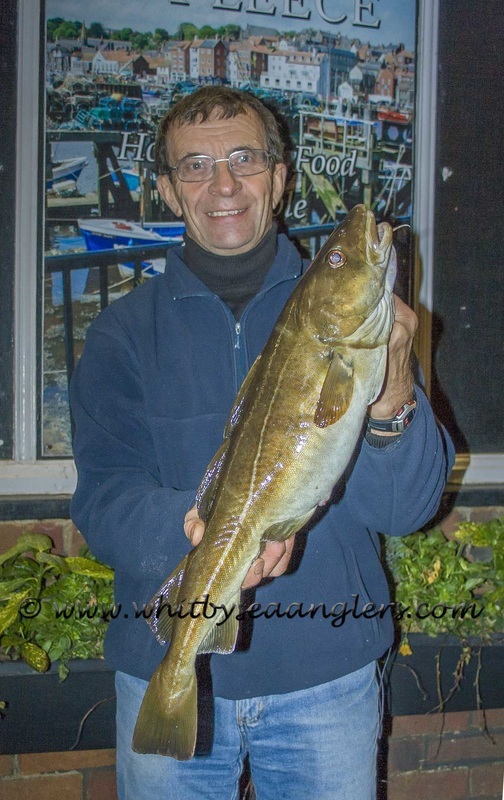 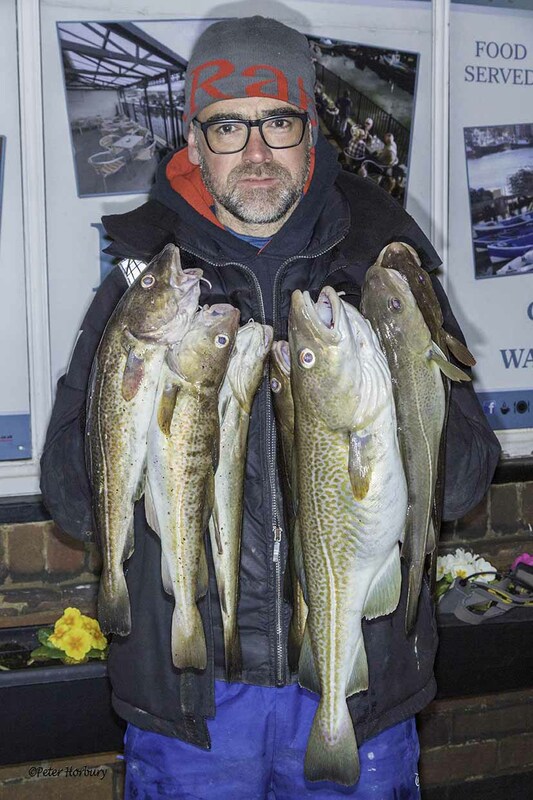 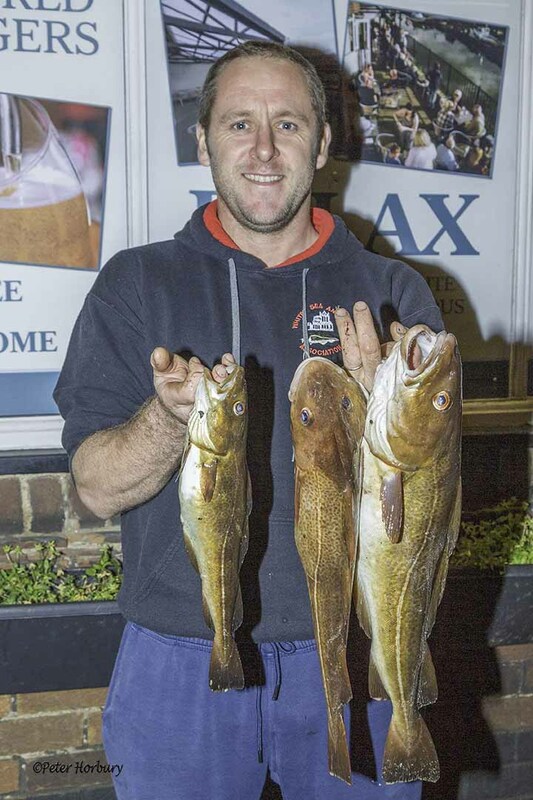 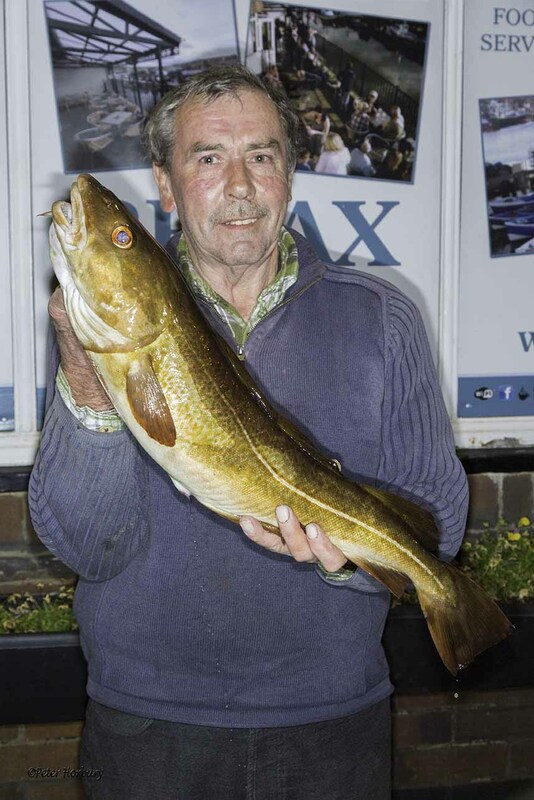 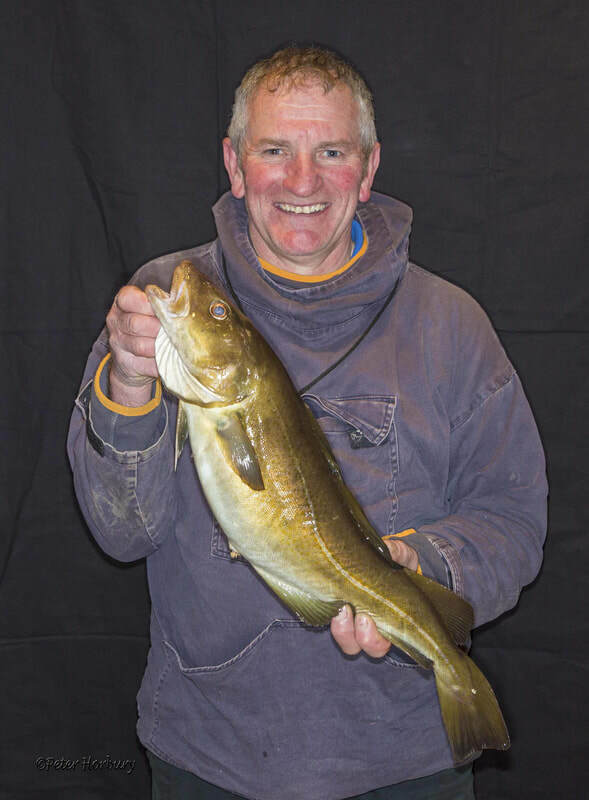 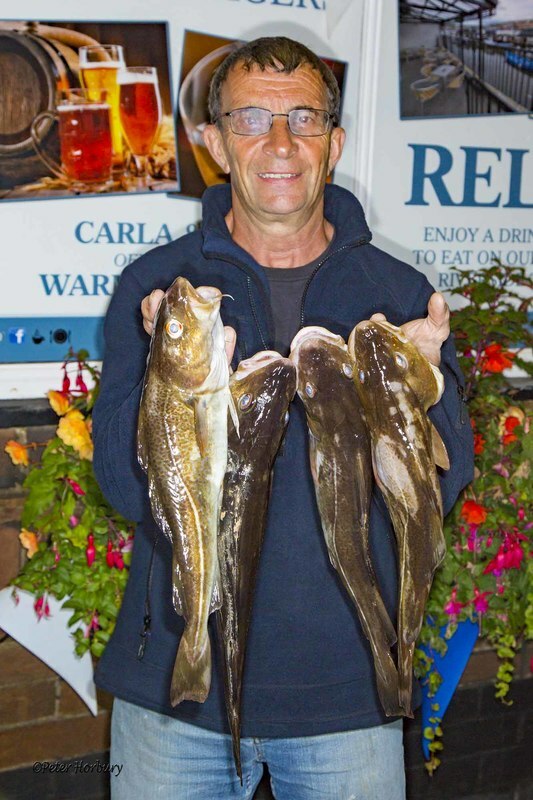 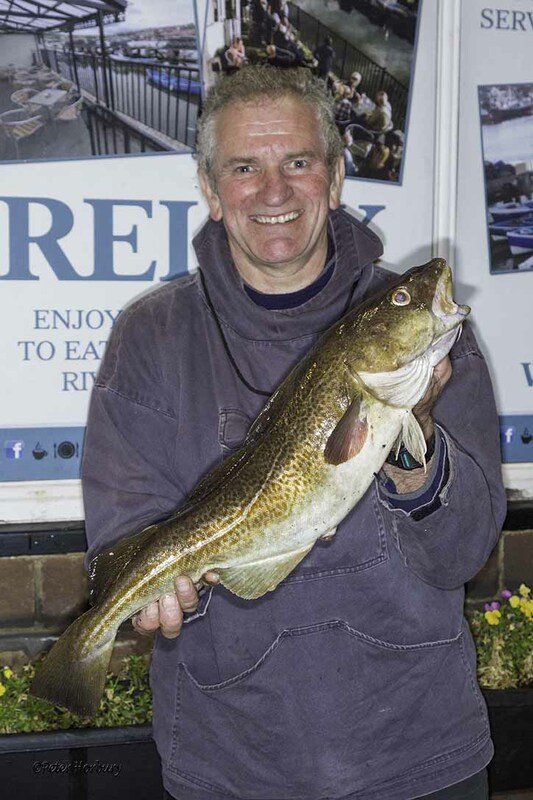 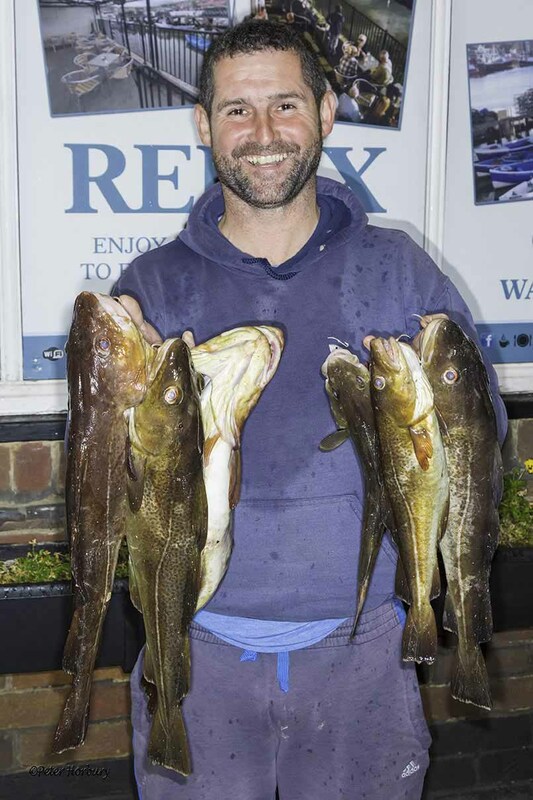 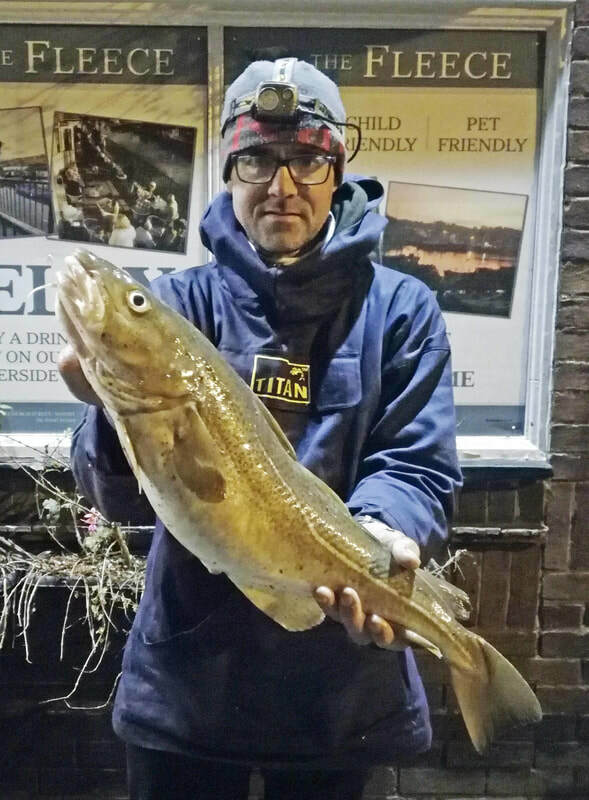 However, after 3 casts Brian caught this 15 lb 09 oz cod on frozen green crab at 21.45 hrs, and wanted to get back so it could be weighed & recorded. 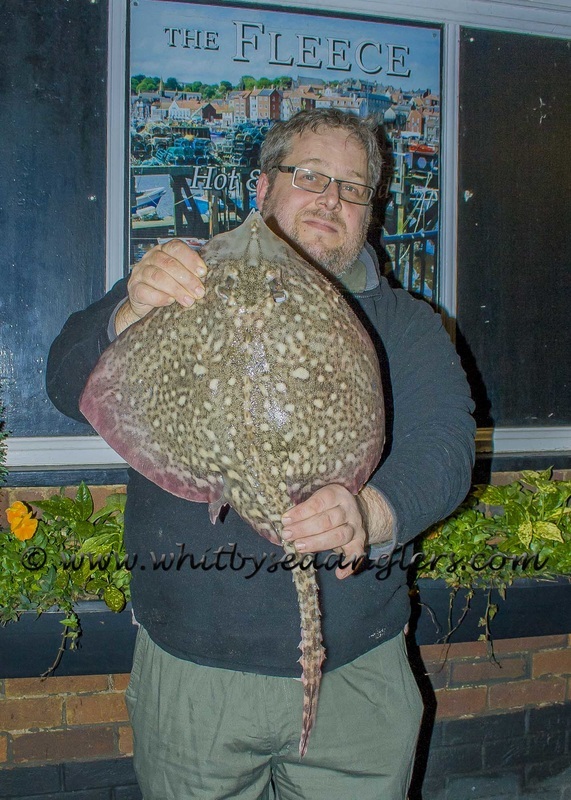 My wife & I were at Whitby Coliseum enjoying comic Gary Delaney (Sarah Millican's husband) so missed Brian's 1st call. 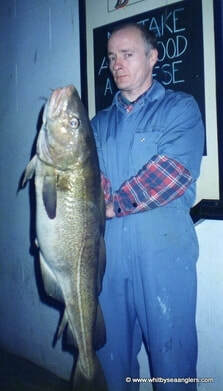 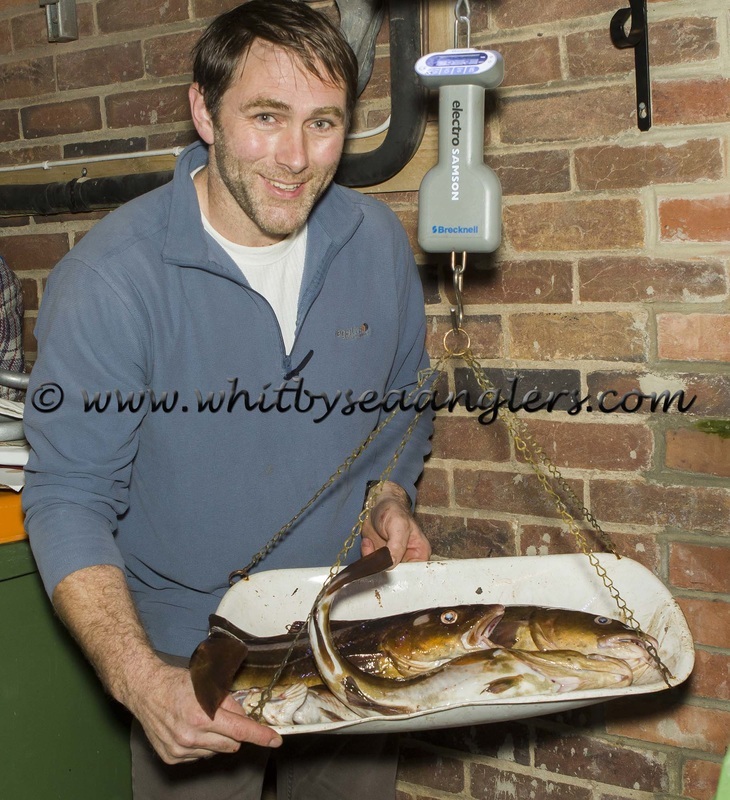 Bernard Vasey took Brian's call & his fish was weighed at The Fleece, Church St. on the club scales. 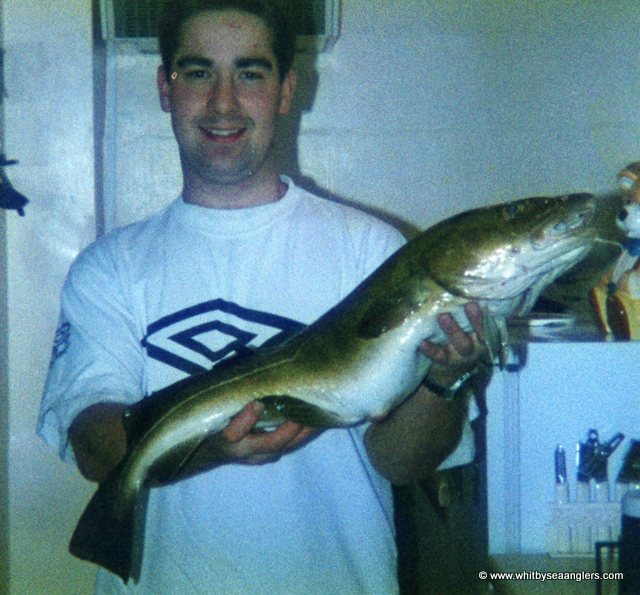 After which time I returned Brian's call, and the rest, is as they say history, he brought it around for a photograph. 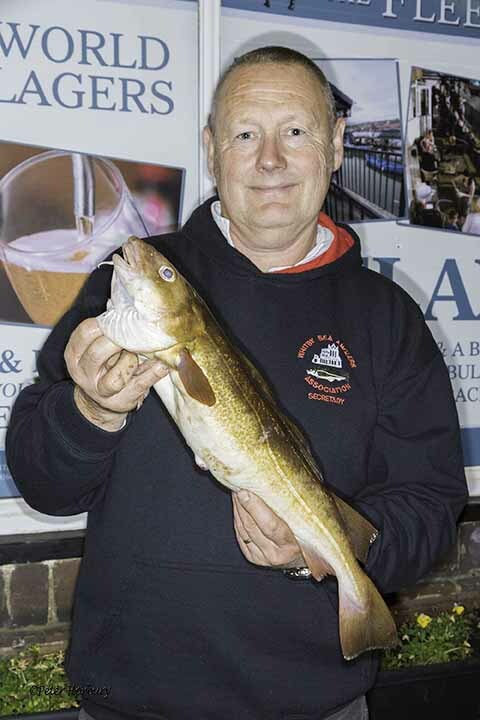 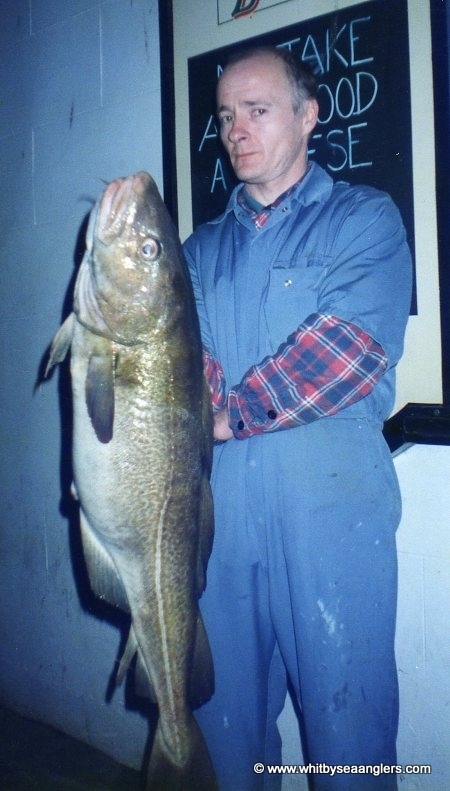 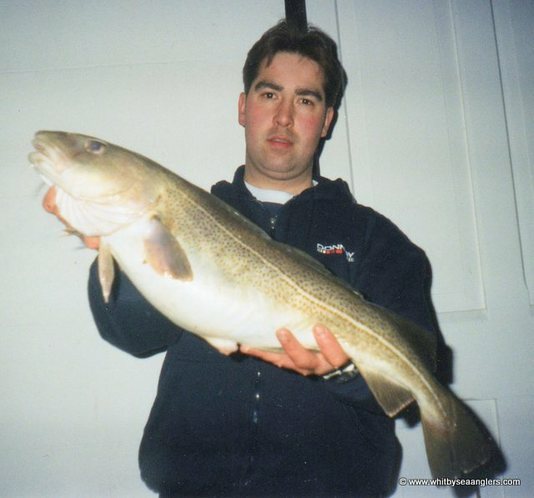 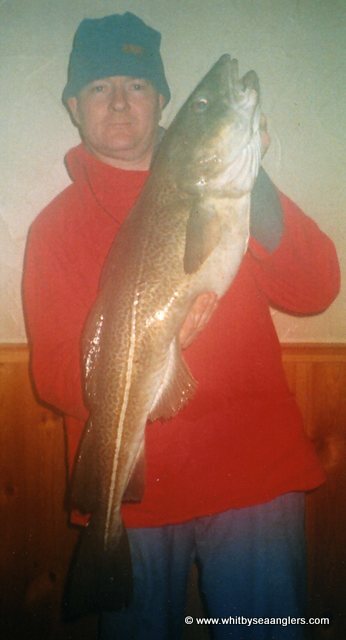 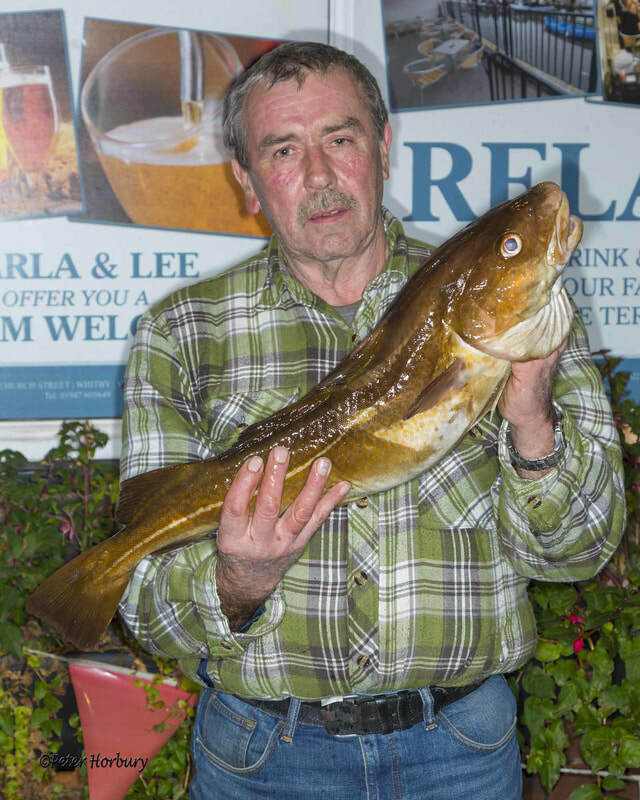 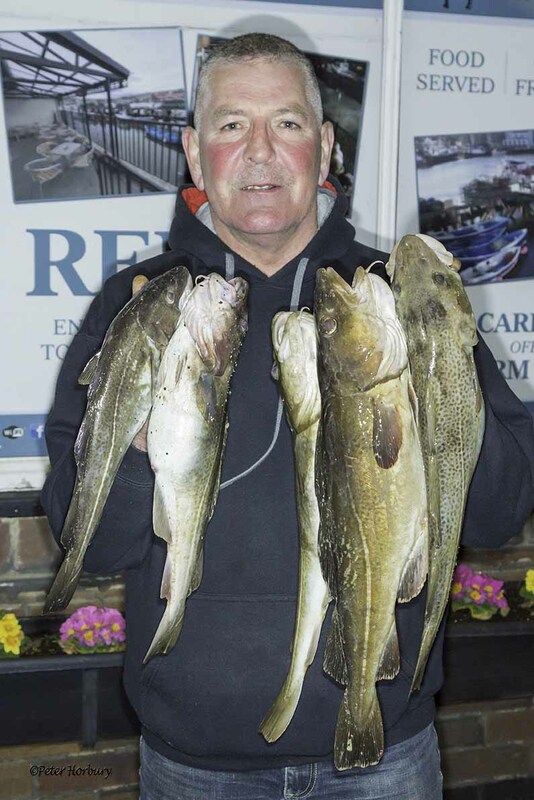 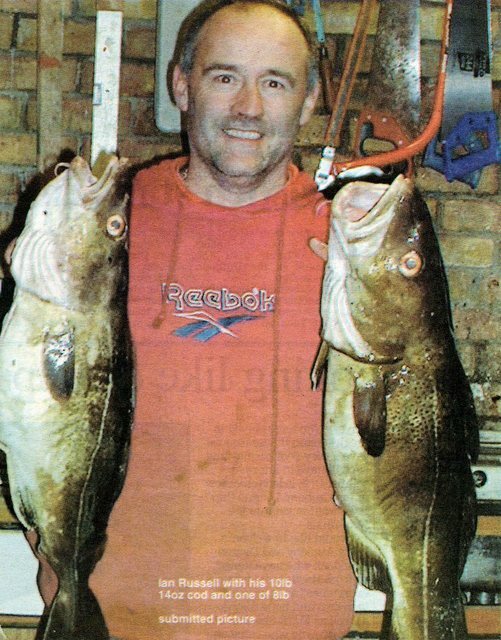 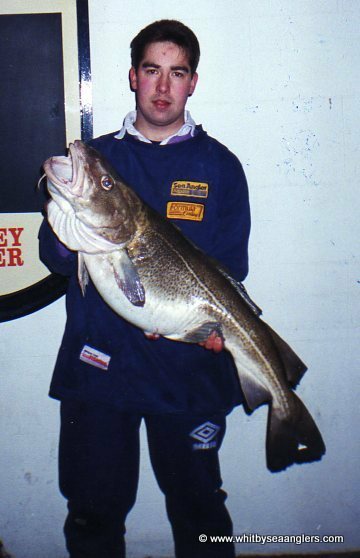 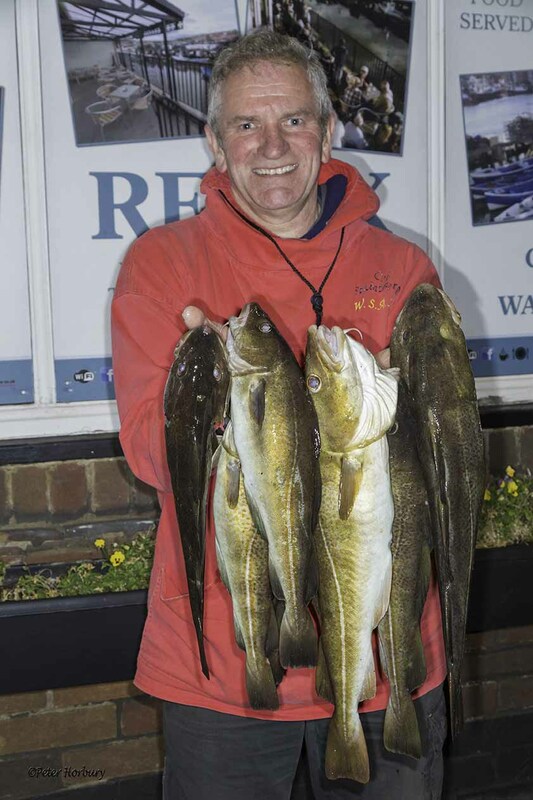 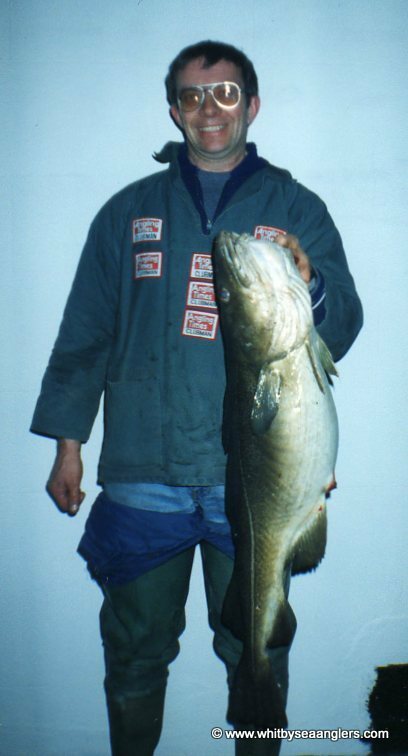 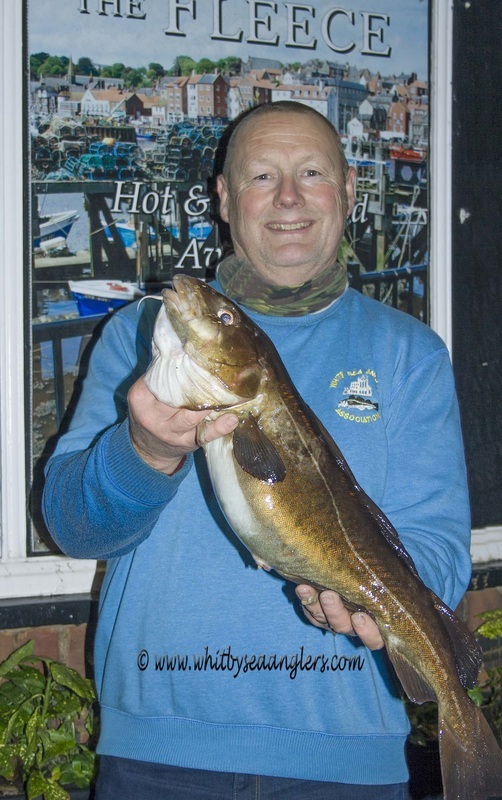 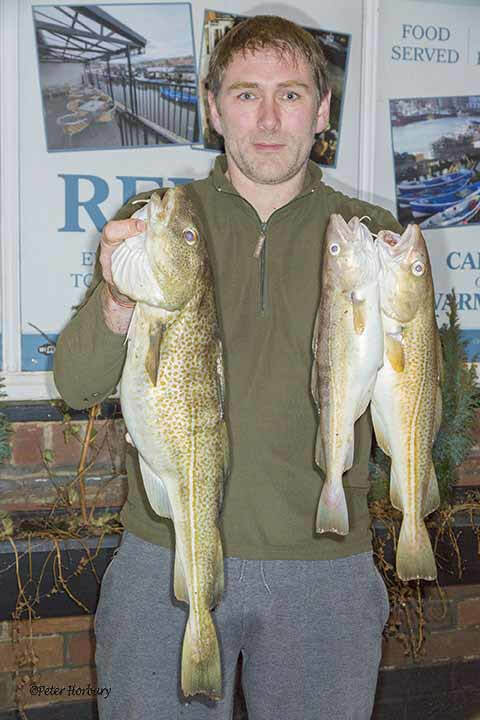 ​Brian's PB is 17 lb 13 oz caught on Wed 11th December 1996, when he had 6 fish for 29 lb 03 oz, and this cod ranks 2nd on Brian's PB list. 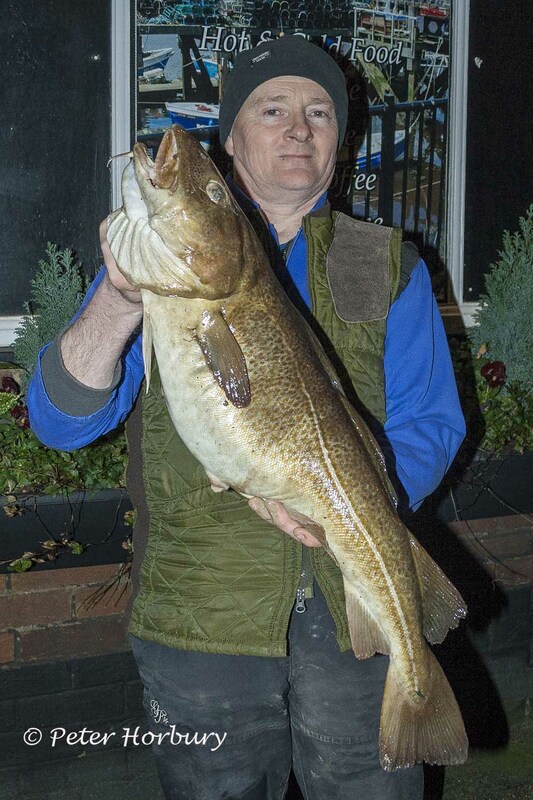 Well done Brian. 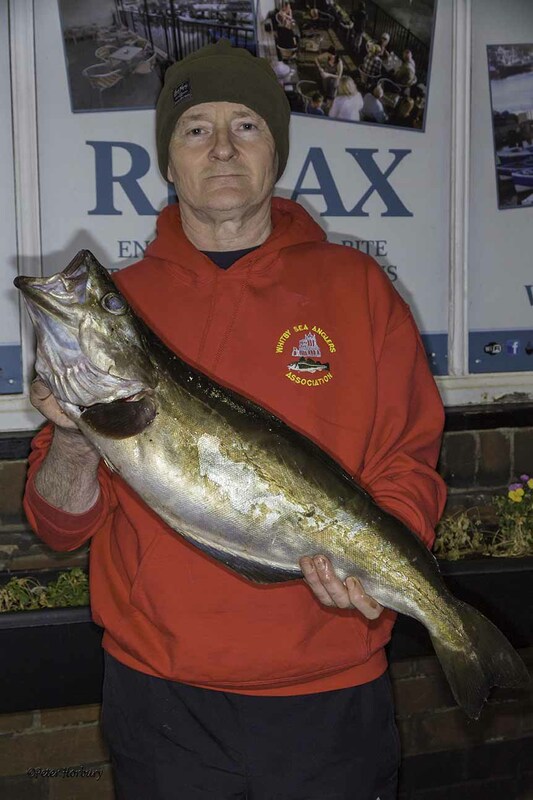 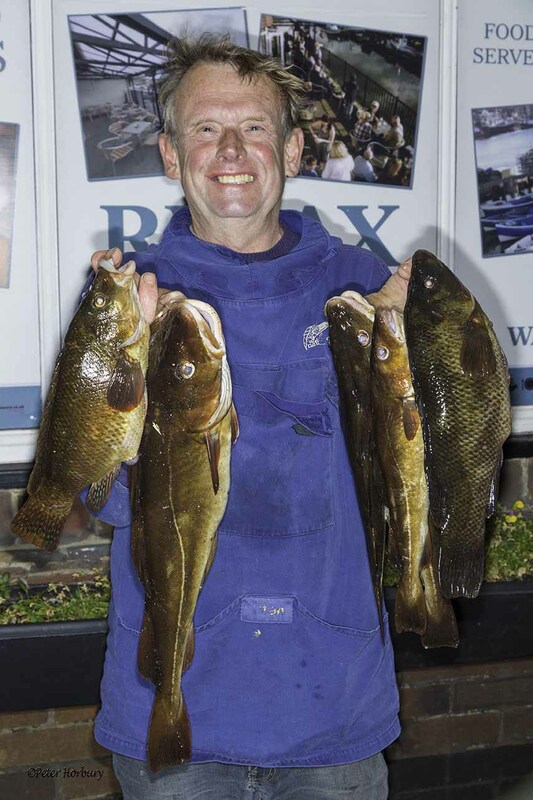 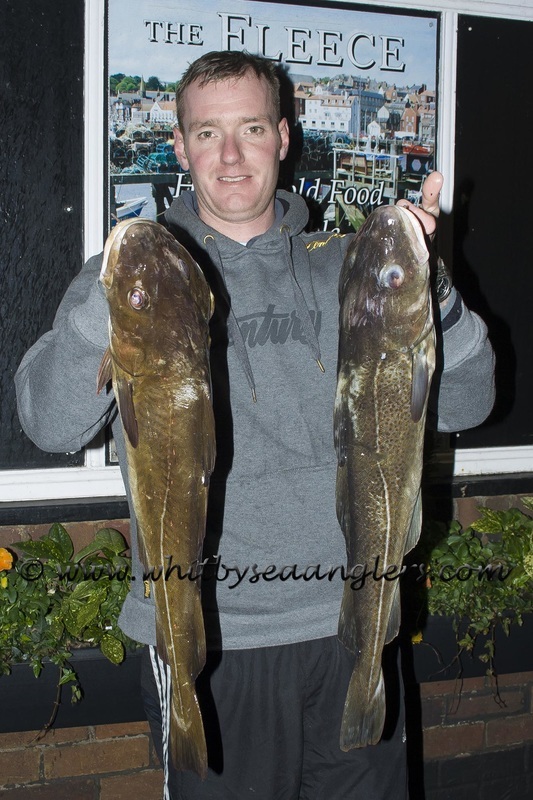 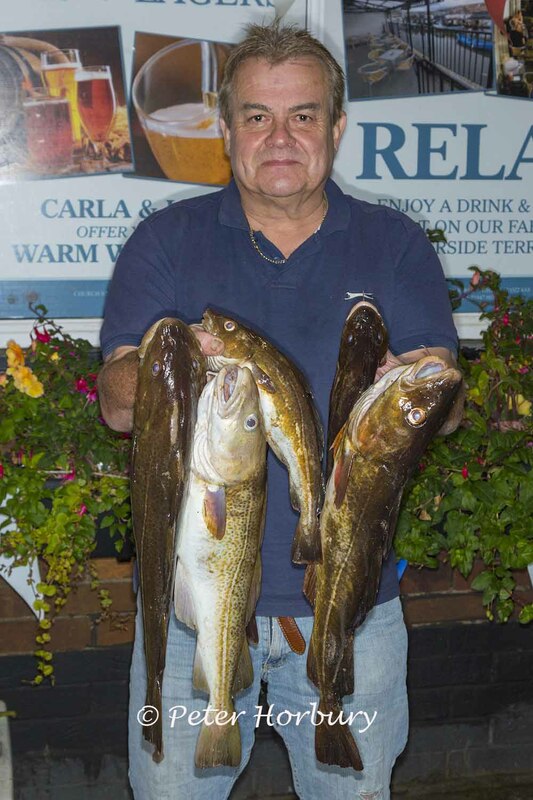 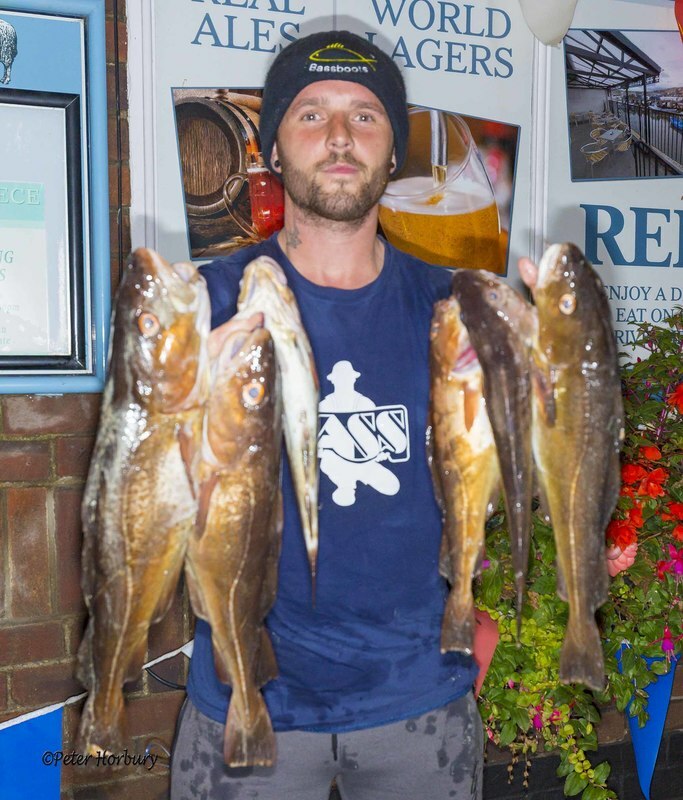 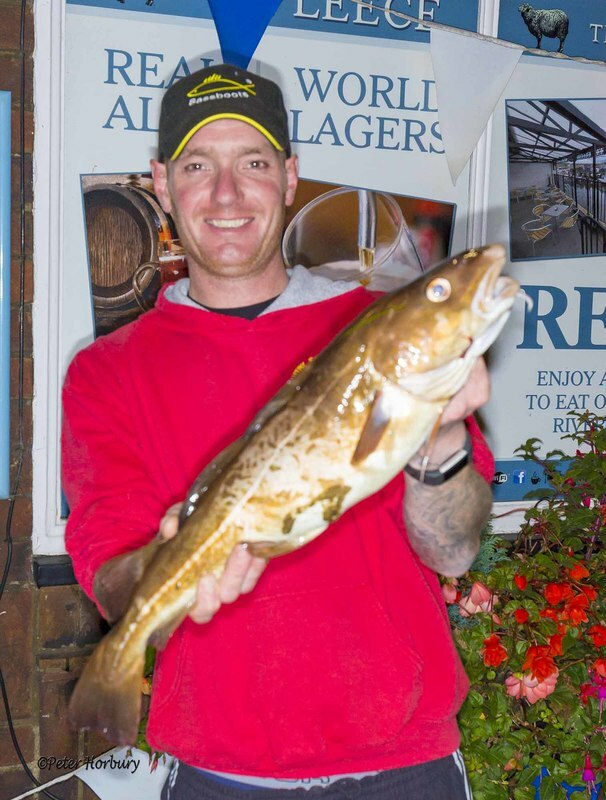 Denis Thompson - 13 lb 01 oz - 3 fish..
Glen Kilpatrick 19 lb 04 oz - 5 fish. 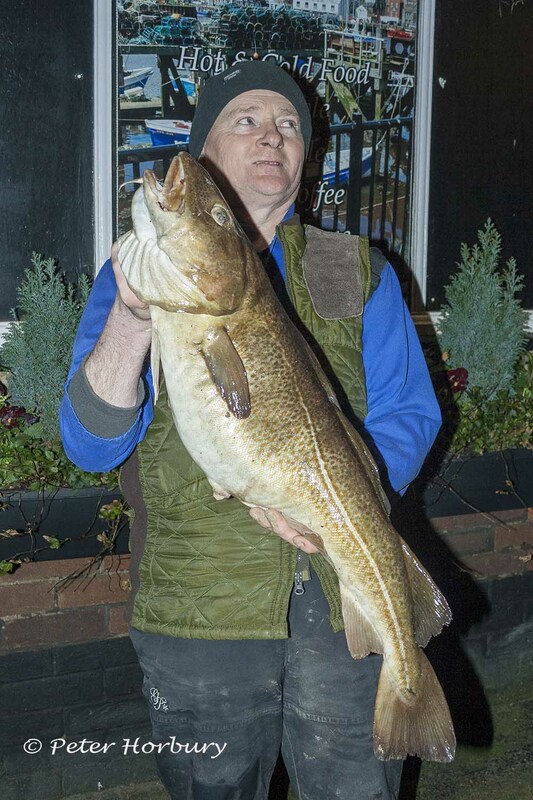 Glen Kilpatrick 23 lb 00 oz - 5 fish. 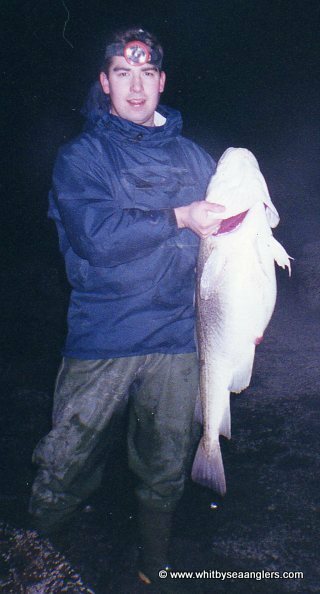 At this time there are no records.